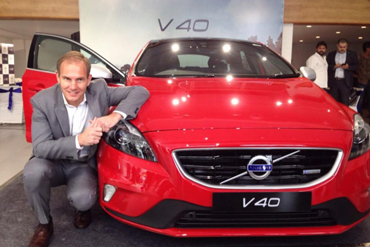 We at WAF are a medium as well as a driving force of auto world collaboration. 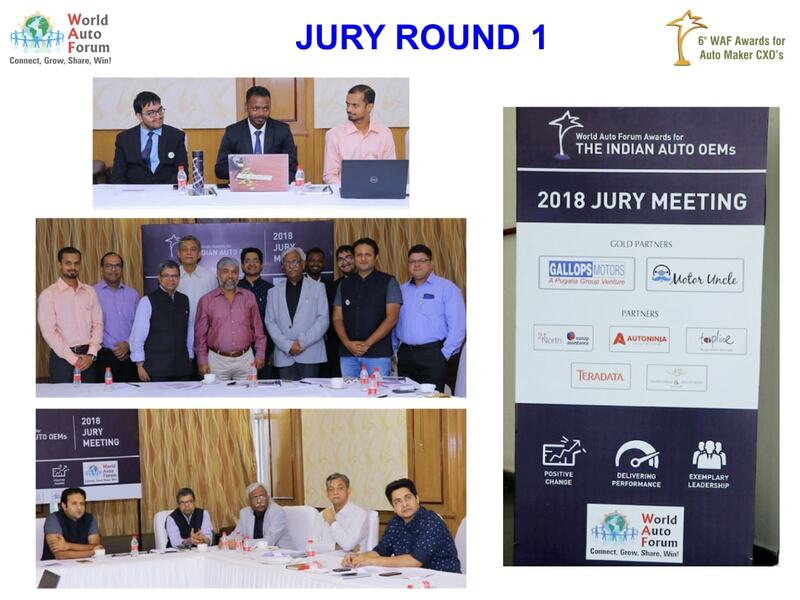 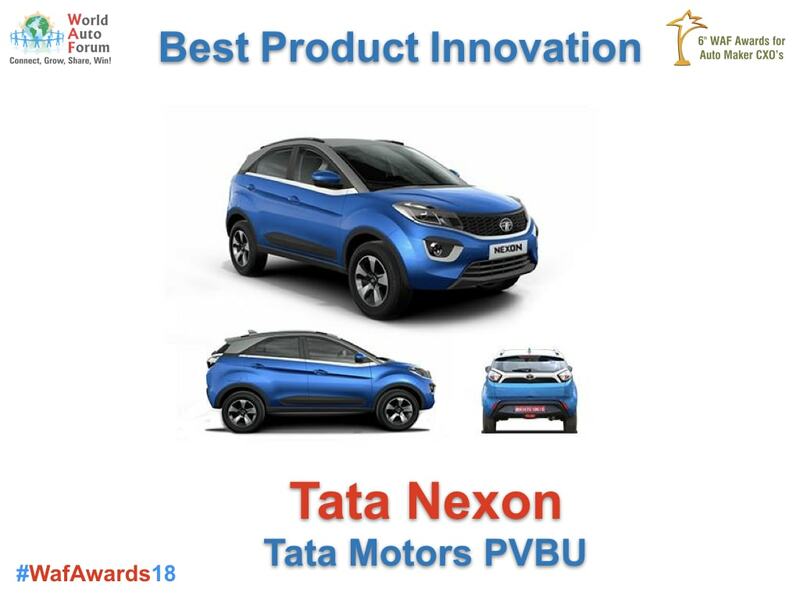 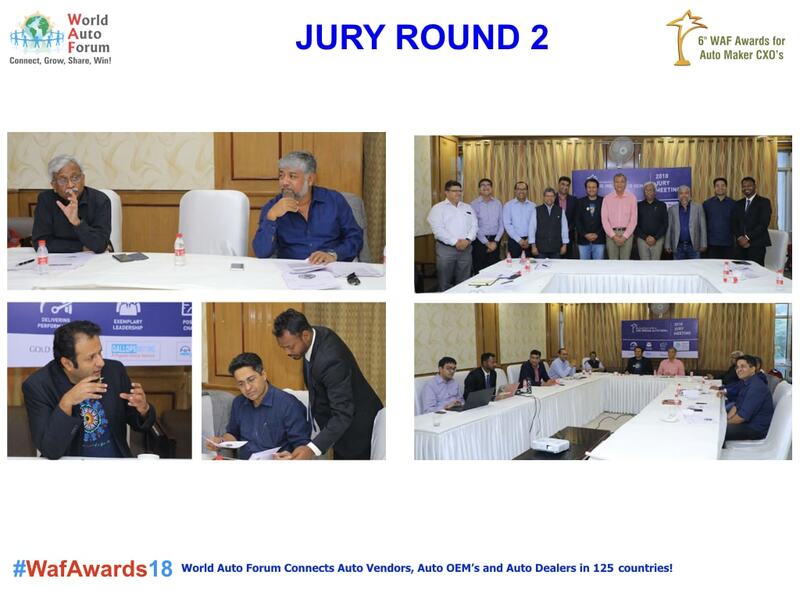 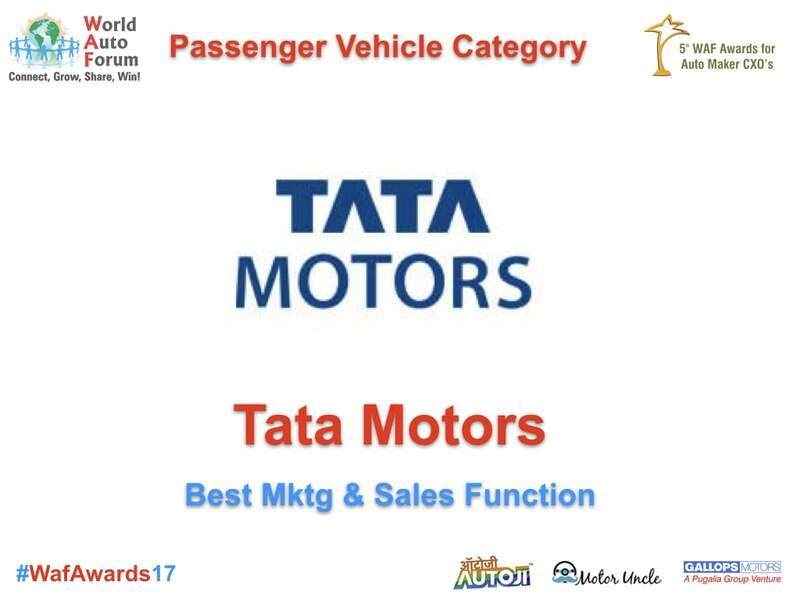 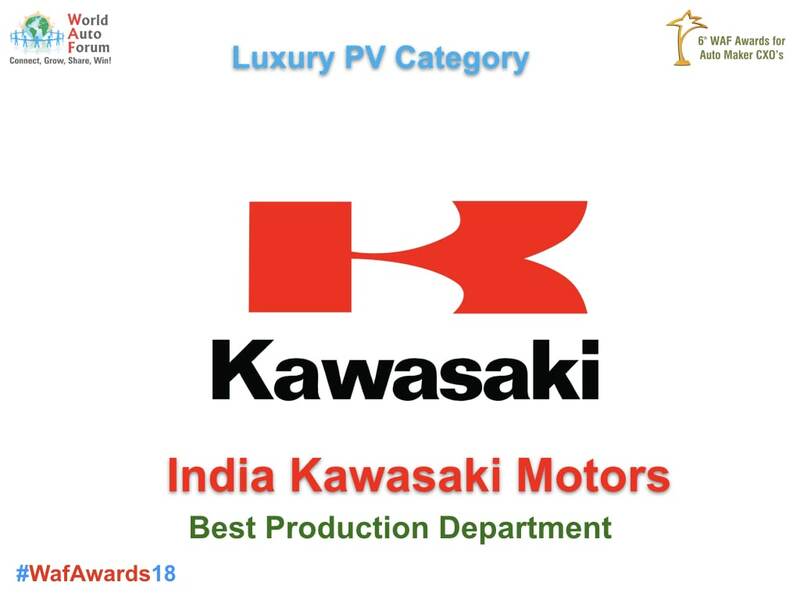 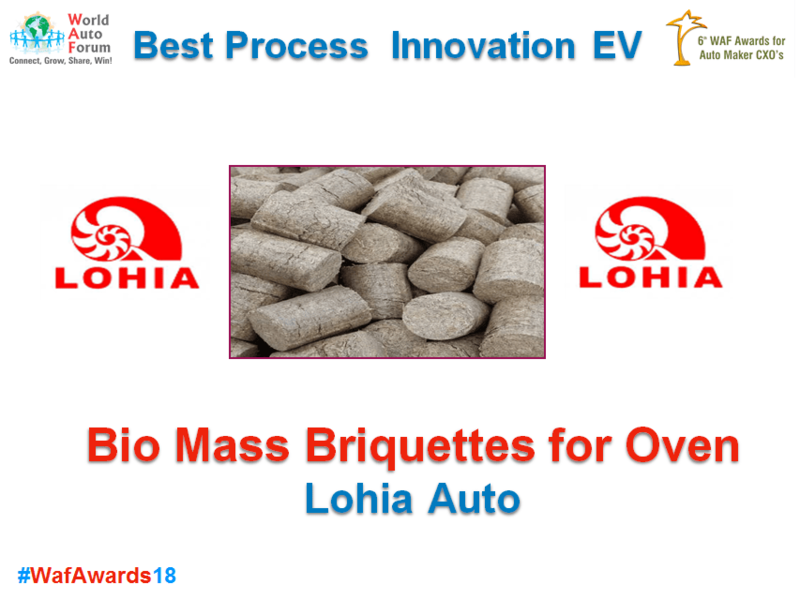 We bring together all the people associated with the auto world-the OMEs as well as the enthusiasts to choose the best through a jury decision. 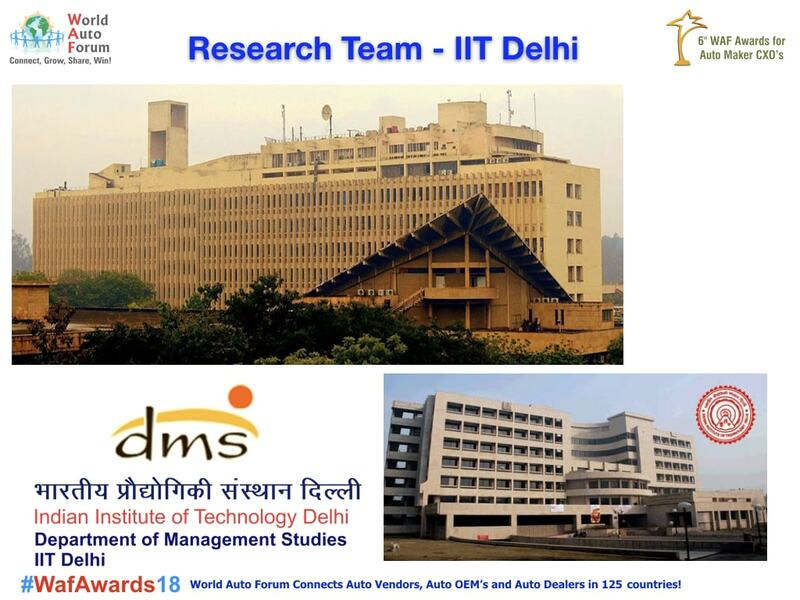 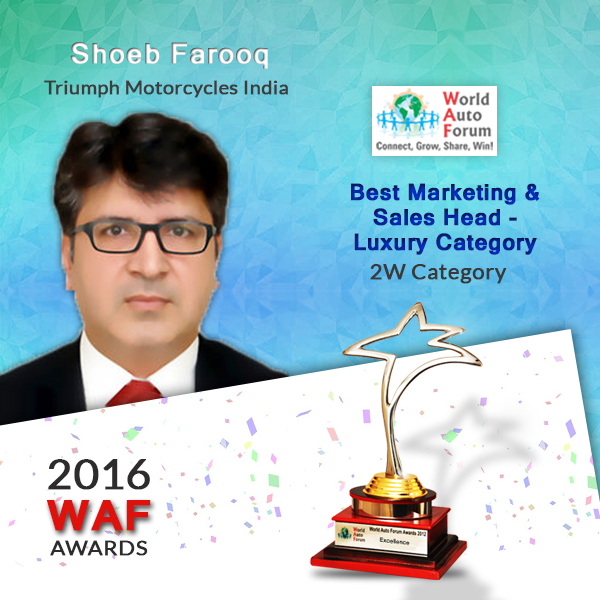 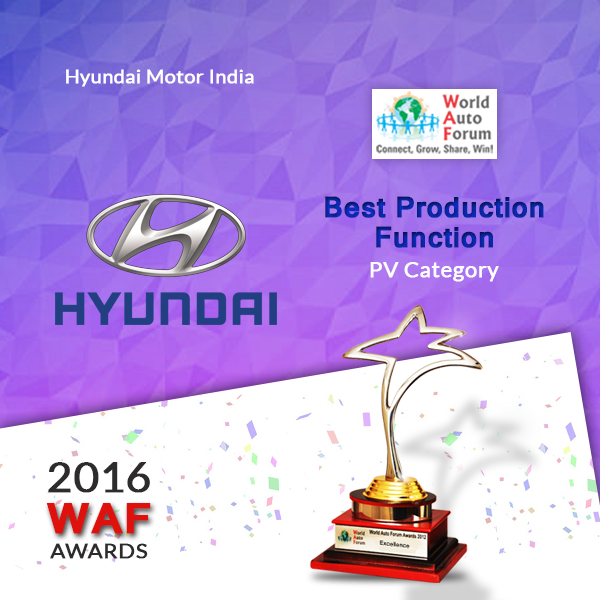 WAF awards are famous for their thorough research that goes behind recognizing the leaders in the auto industry. 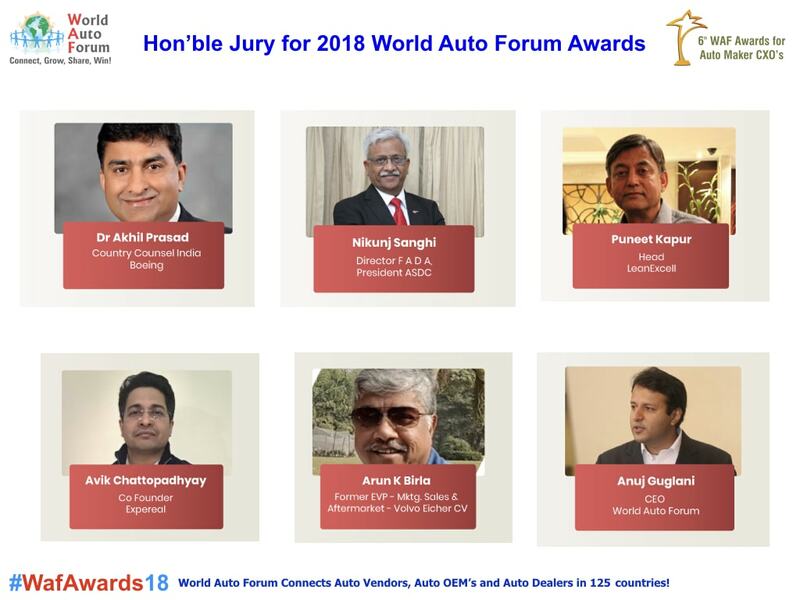 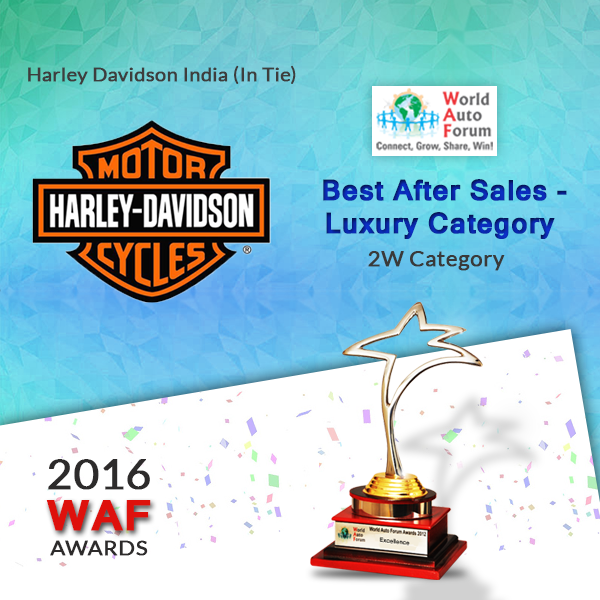 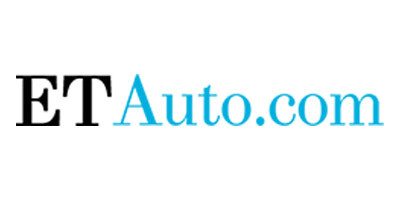 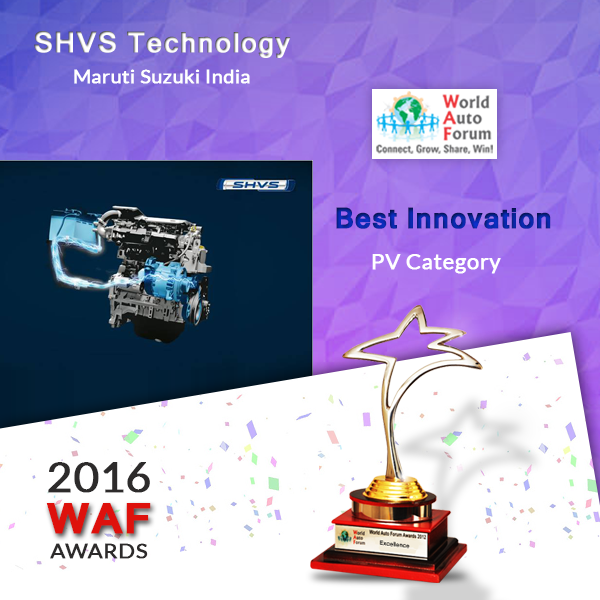 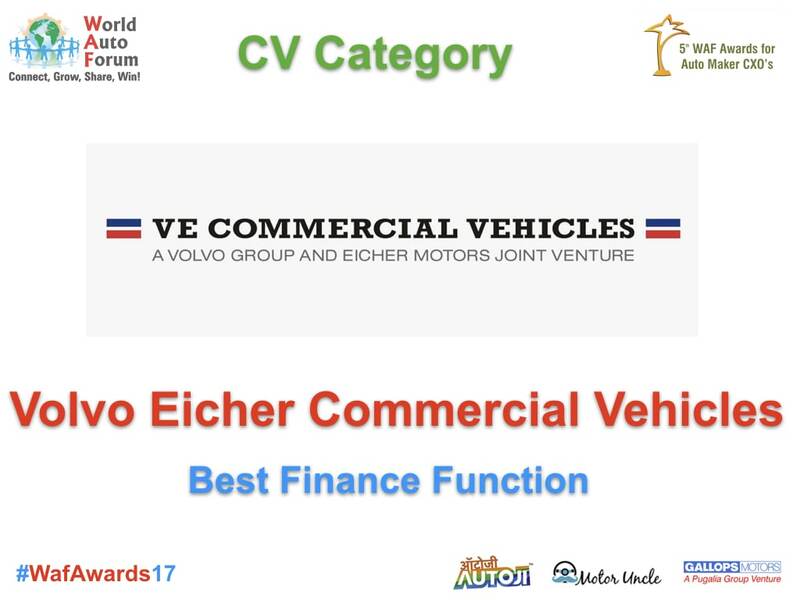 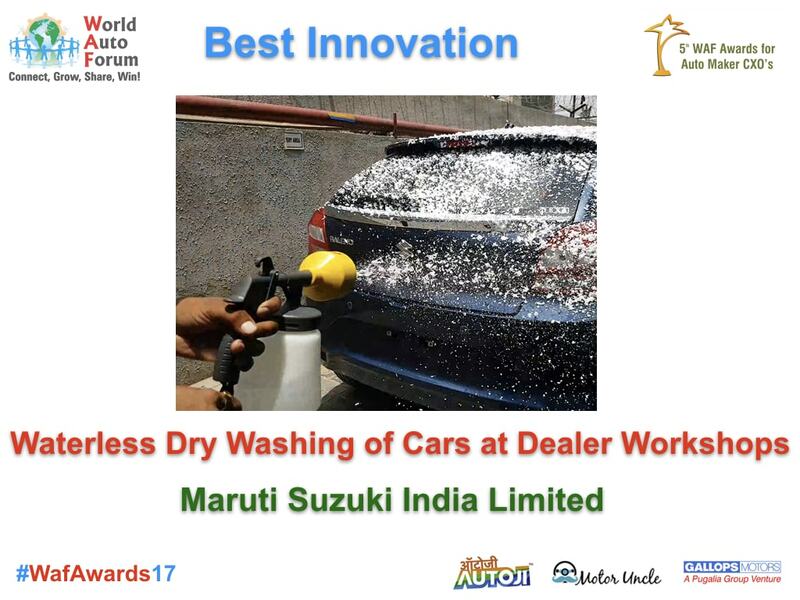 We at WAF awards connect the auto vendors, auto dealers, auto OEMs and the auto enthusiasts in over 125 countries. 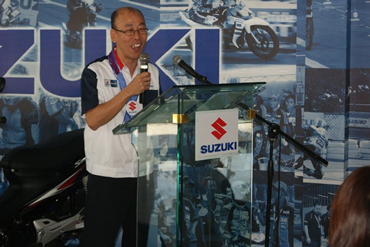 An inspiring and a dynamic young leader. 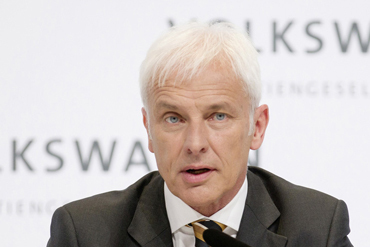 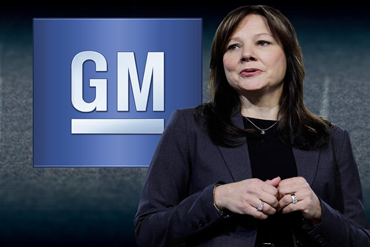 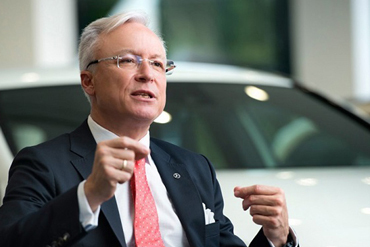 A turnaround specialist with conviction and extraordinary business vision. 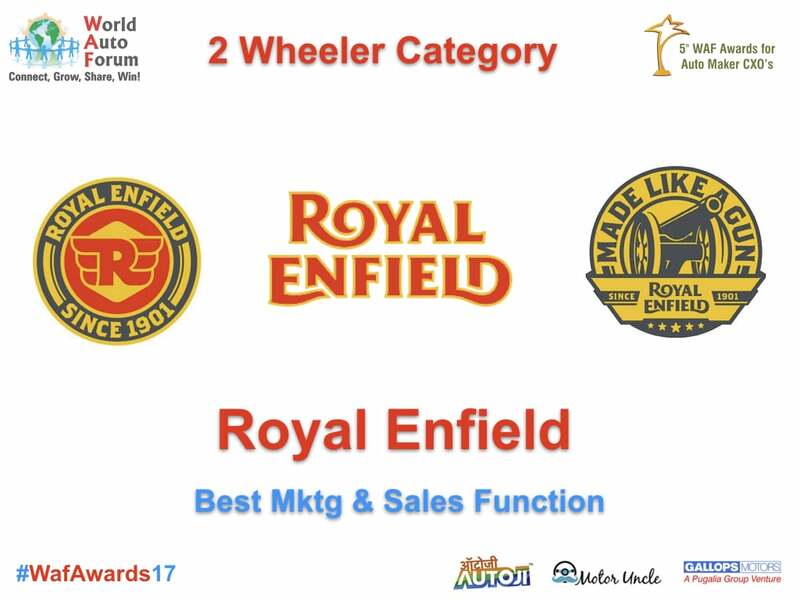 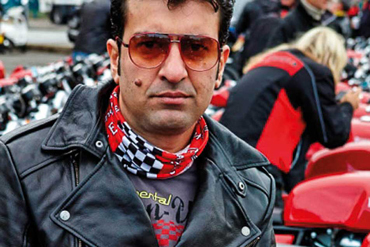 Eicher Motors has a heritage spanning over five decades. 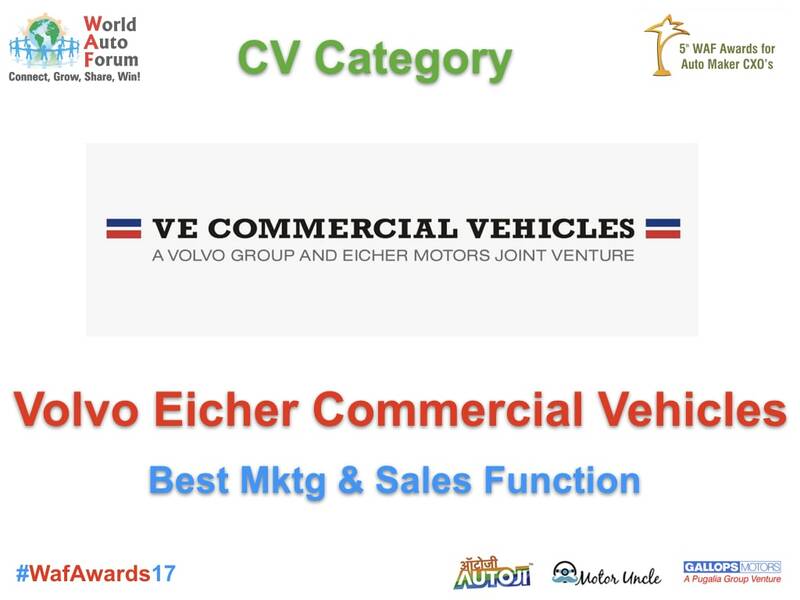 It is the flagship company of the Eicher Group and a leading player in the Indian auto industry. 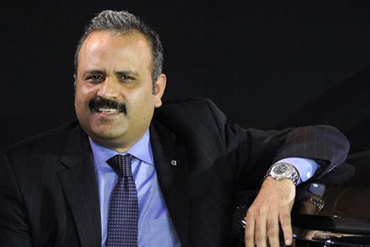 Under Siddhartha’s aegis, it has already seen several key achievements like JV with Volvo Group Sweden, making India worldwide sourcing hub for Volvo, the great turnaround of Royal Enfield which has also become case study for several B Schools round the world and the restructuring of Eicher Group. 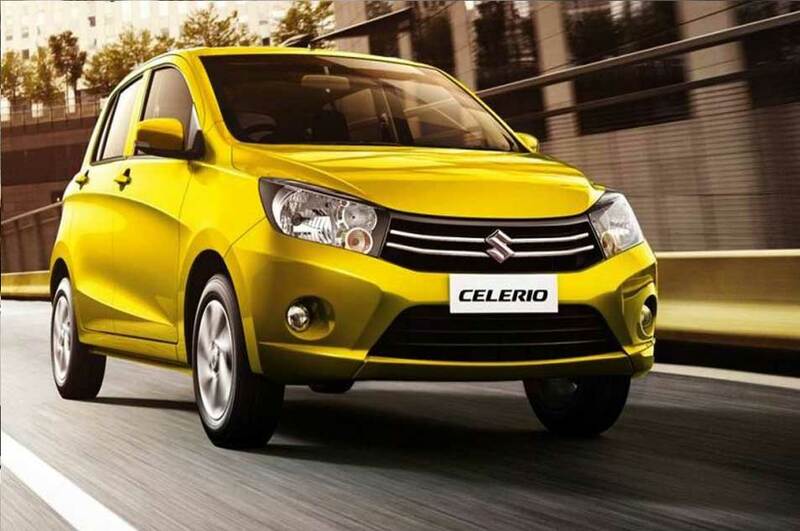 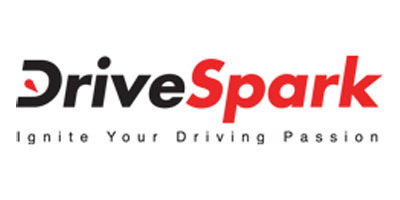 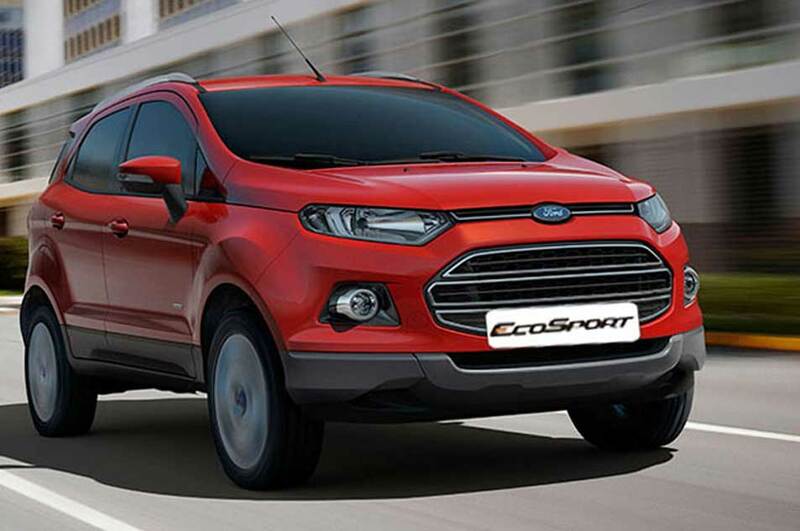 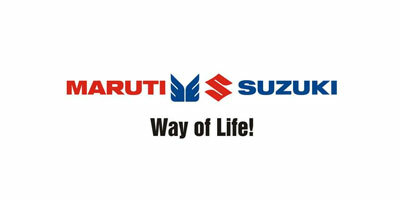 An impeccable performance track record spanning last 23 years in the Indian Automobile Industry. 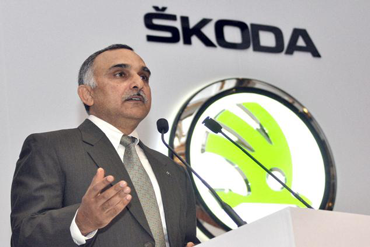 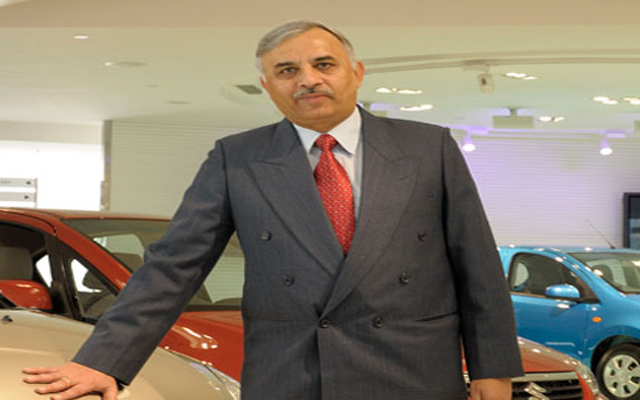 Sudhir has in his portfolio, companies like General Motors, Nissan India, Honda Cars India, Daewoo and DCM Toyota. 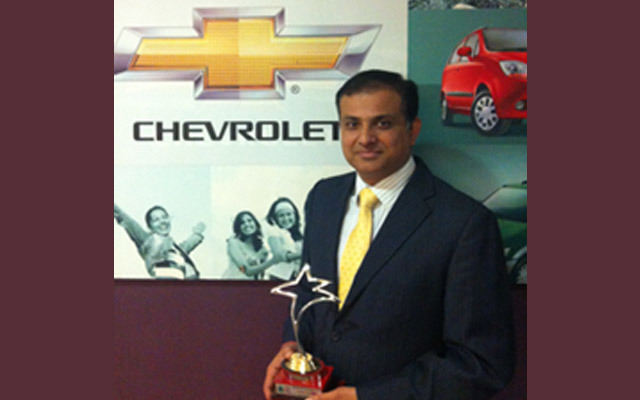 He presently heads the After Sales function at Chevrolet Sales India. 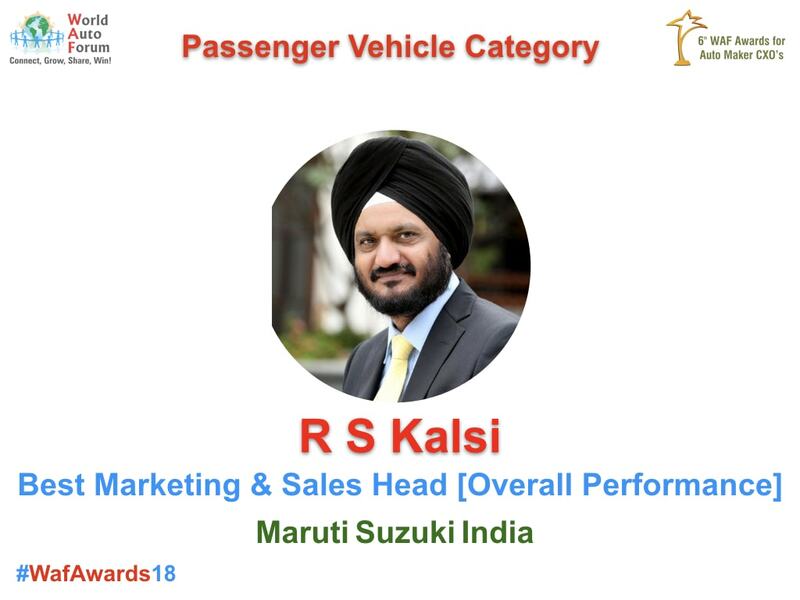 He has successfully led several after sales and quality programs and initiatives which have brought a marked change in the customer satisfaction and perception of after sales business thereby positively impacting the Brand Perception of Chevrolet Vehicles in India. 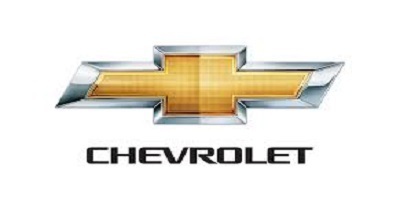 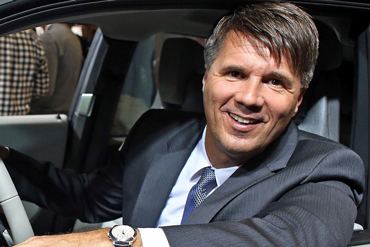 Under his leadership, not only the after sales team has matched the market requirements of increased network and sales volumes but also been able to cater to increased responsiveness to Chevrolet consumers and dealerships. 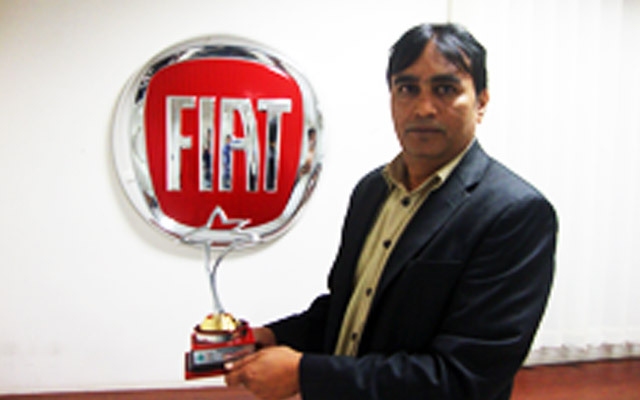 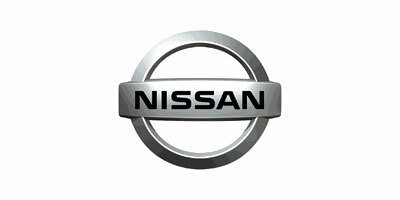 Sudhir has displayed the platinum standard in establishment of processes and required capabilities at dealership level. 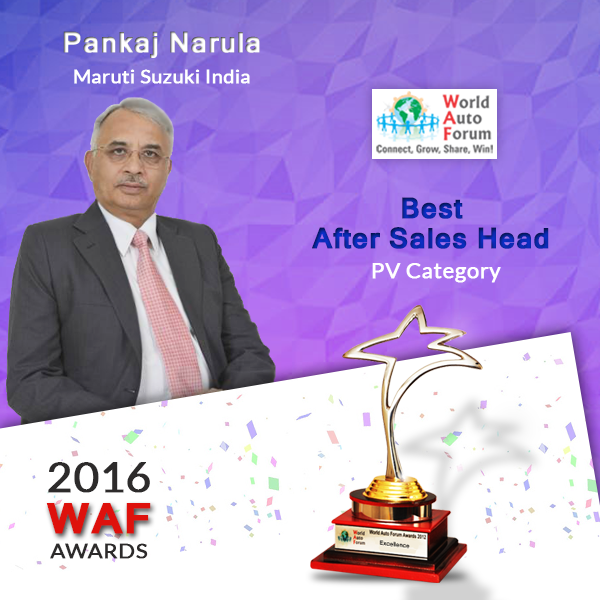 Pankaj has varied experience in Sales Operations, Channel Management, Supply Chain Management, Logistics, Accessories and of course in Spare Parts Sales & Operations. 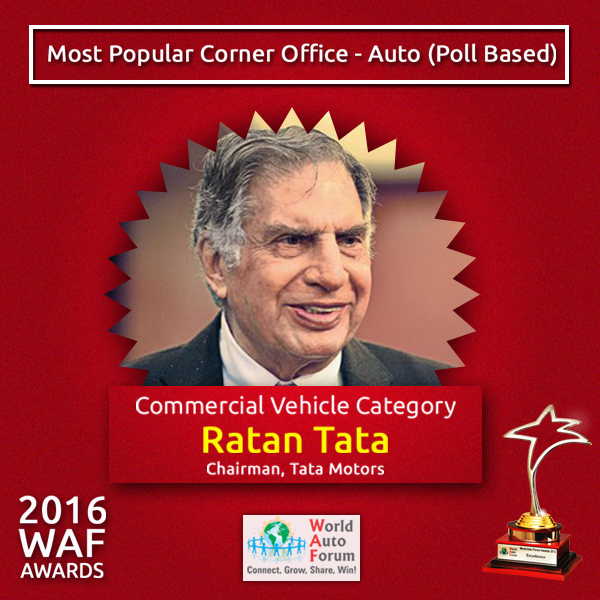 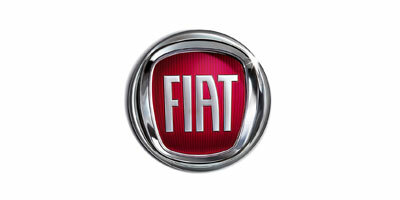 At Fiat India Automobiles, he has pioneered several new initiatives on the consumer and the business side which ensured timely availability of spare parts for consumers and also significantly improved Fiat India dealer profitability. 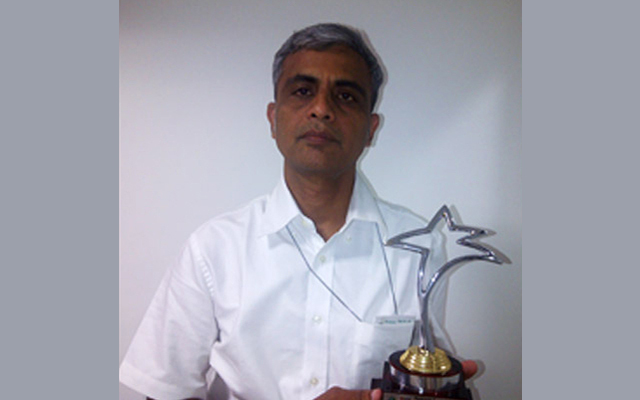 Pankaj has displayed the Platinum Standard in Leading and Managing Spare Parts Operations and Services. 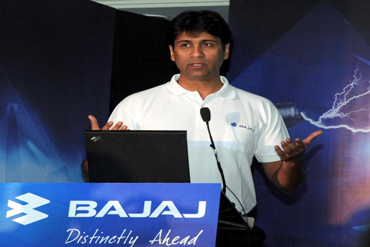 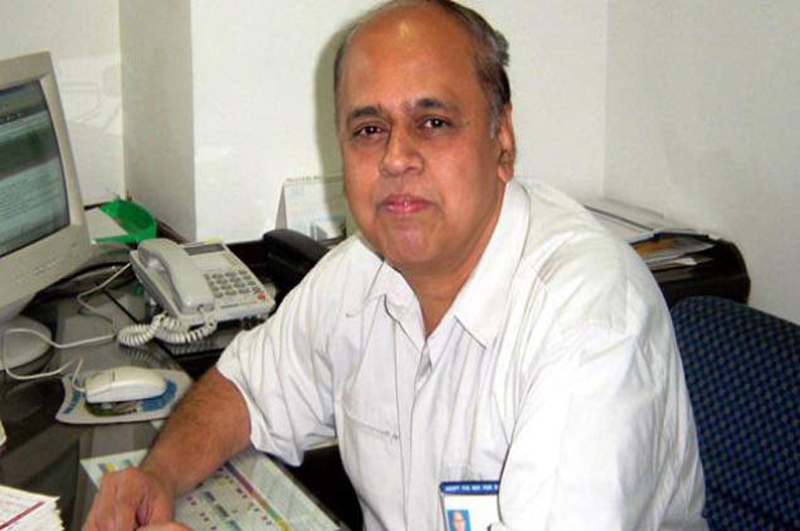 Mr. Kevin D’sa began his career with Bajaj Auto Ltd in September 1978 and is presently its Vice President (Finance). 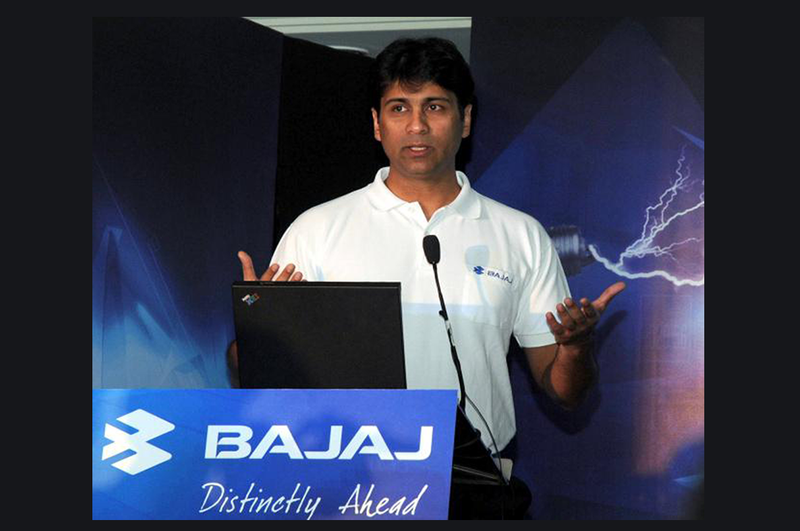 Under his aegis, Bajaj Auto has clocked one of the highest Profit figures in the entire Indian Auto Industry, consistently one business quarter after the other. 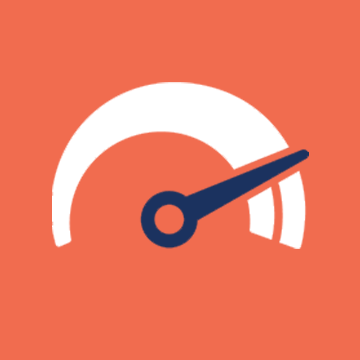 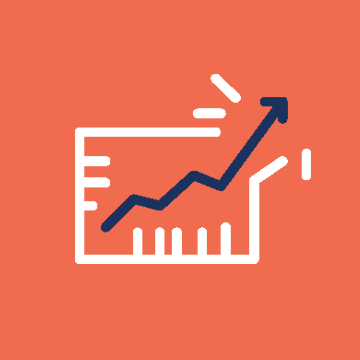 Whether it’s his team members, rival company executives or business associates, all swear by his penchant for numbers, his financial acumen and passion to outperform consistently. 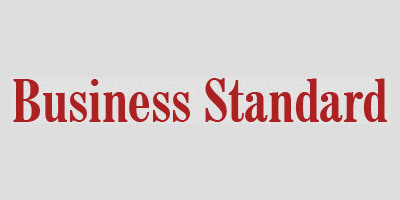 Kevin has displayed a Platinum standard in managing the backbone of any business enterprise and that is Finance. 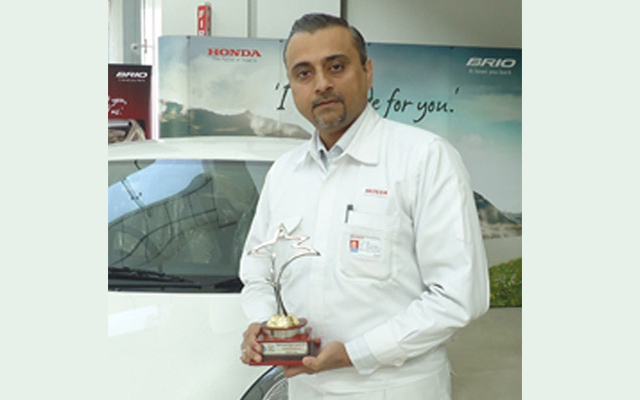 Vibhu is one of those select Auto Professionals who thrive on diversity and new challenges. 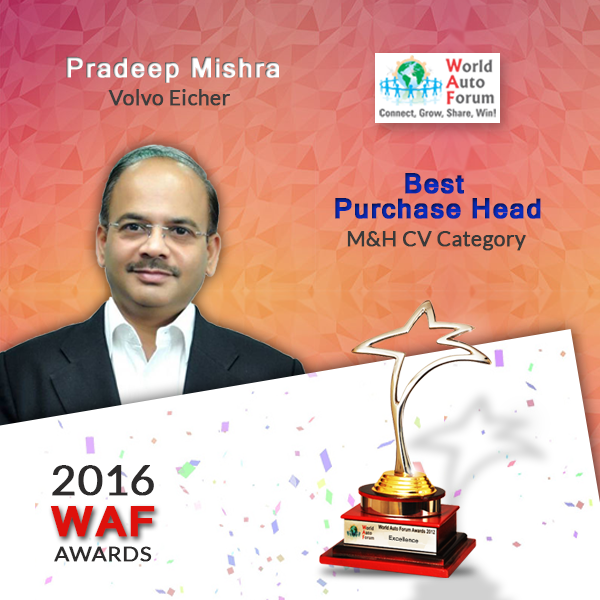 When it comes to Channel Strategy, Market representation & Capacity Planning and Channel Execution, Vibhu is an ace. 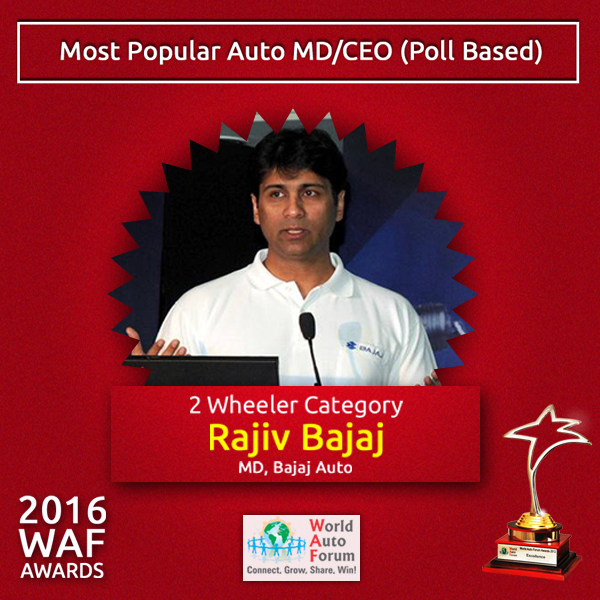 In the last 26 years, he has worked on products ranging from sedans, hatchbacks, 3 wheelers, Pick ups, SUV’s , commercial vehicles. 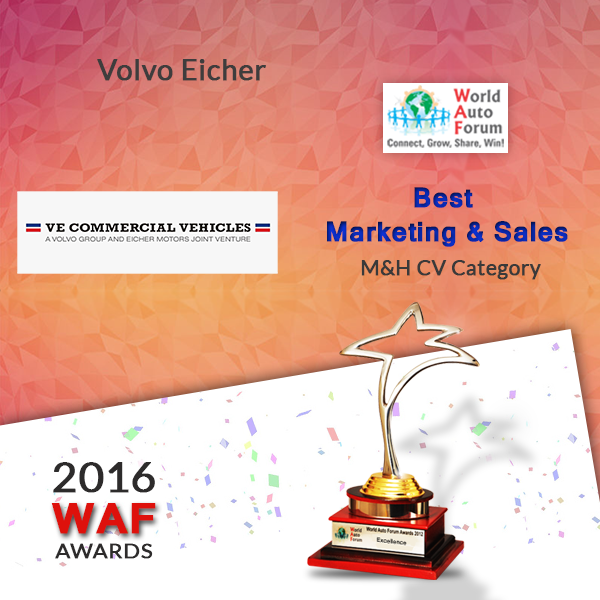 Vibhu has displayed the platinum standard in After sales, Network, Sales and CRM. Zahur is the youngest achiever in this power club of WAF Award Winners. 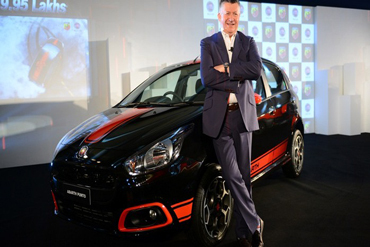 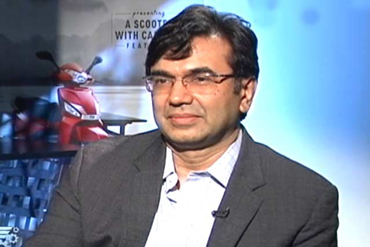 He has worked in the past with GM India, Hero Honda and Maruti. 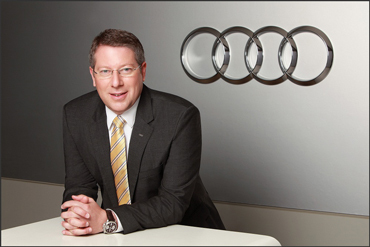 He’s currently the Deputy Dealer Development Head at Audi India. 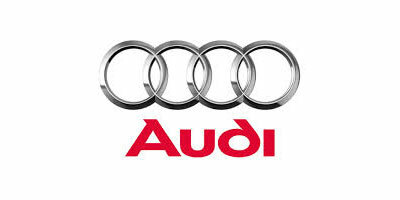 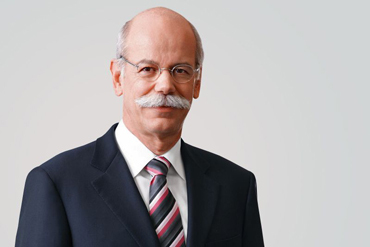 He has significantly contributed in the Dealer network expansion of Audi in the country. 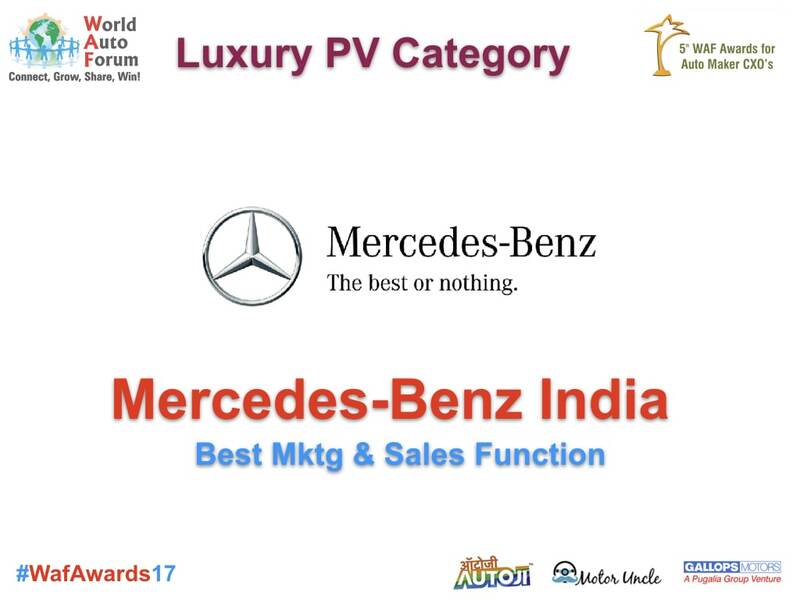 These dealerships have redefined the Infrastructure and service standards in Luxury Auto retail segment in the country. 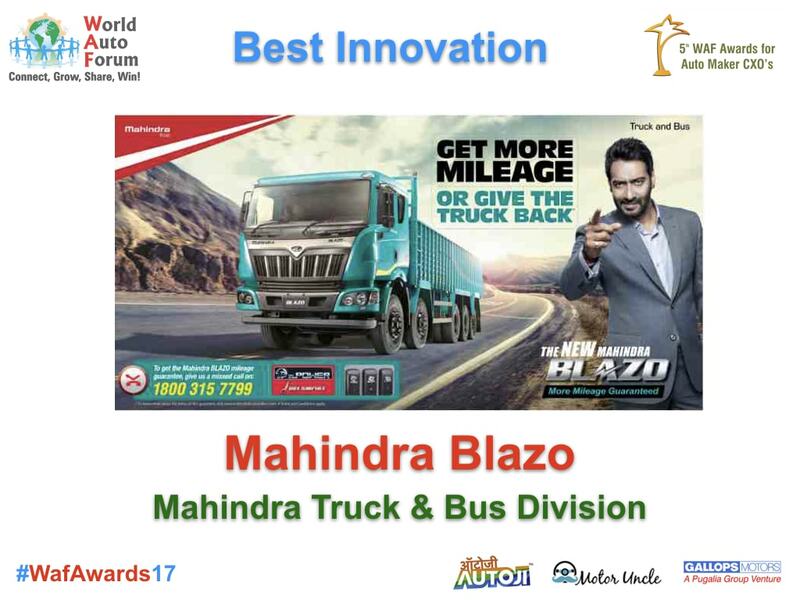 Zahur has displayed a platinum standard in conceptualising and deploying world class infrastructure with class leading standard operating procedures (SOP’s). 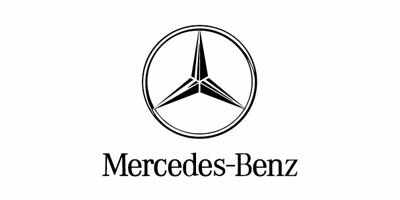 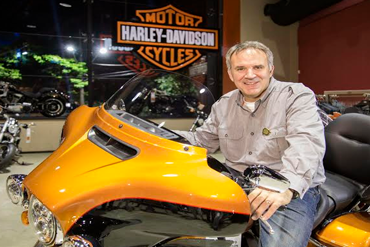 Where does a brand go after winning its customer’s hearts, minds and thus loyalty for more than 25 years and also after being world’s largest motorcycle brand year on year for almost a decade? 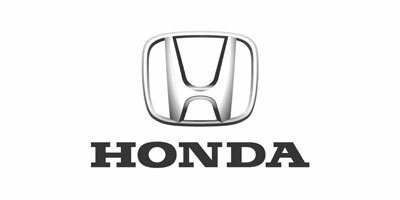 Well it changes its name! 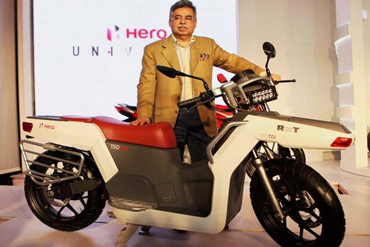 In 2011 A new licensing arrangement is signed between Hero and Honda (Hero Honda is renamed as Hero). 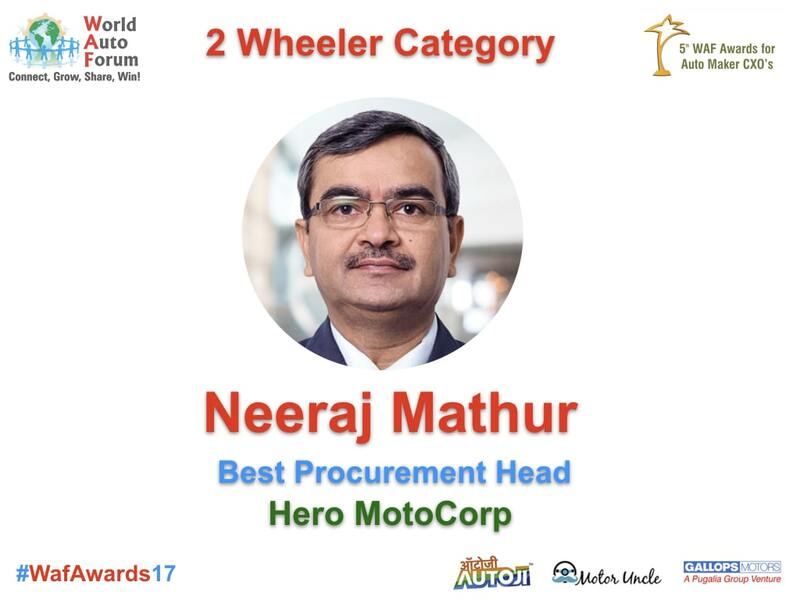 An incredible challenge converted into a brilliant opportunity by Mr Anil Dua and his team under the overall leadership of Mr. Brij Mohan Munjal and Pawan Munjal of Hero MotoCorp. 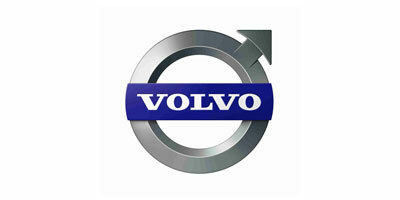 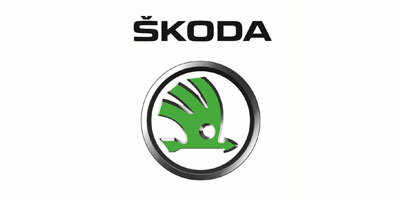 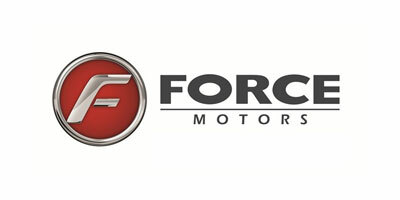 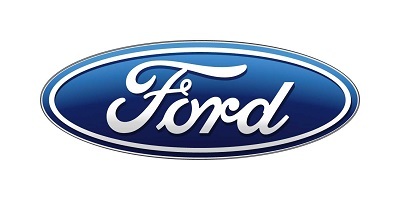 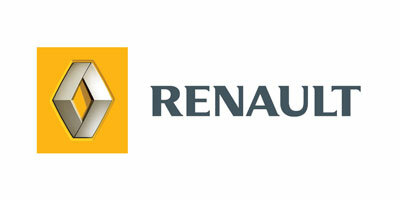 Focussed & effective Communication to Dealers made their conviction stronger and trust deeper in the new brand. 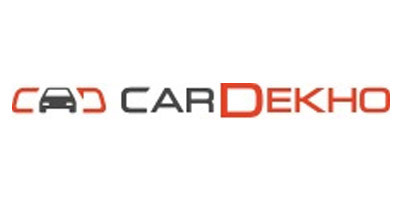 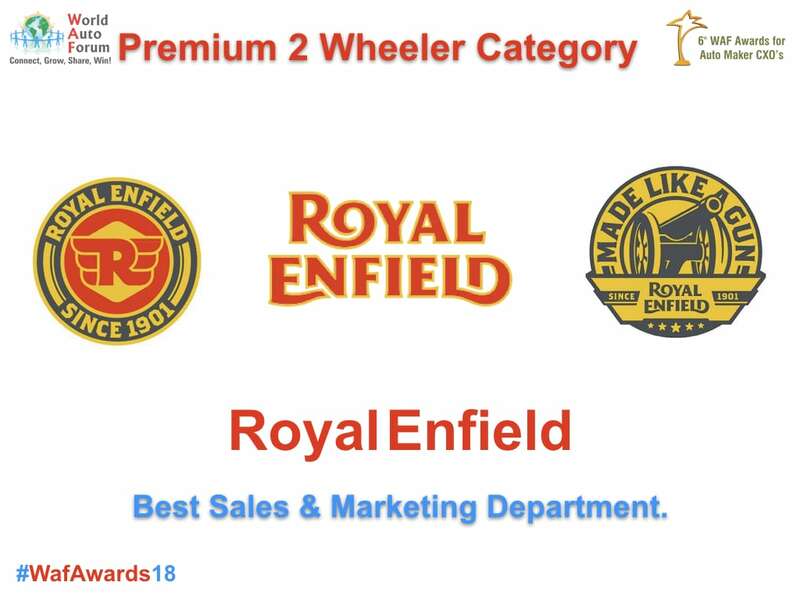 A New brand identity powered by fresh and innovative campaigns made the company reach pinnacles of Brand recall & acceptance and thus created new sales records of annual and monthly sales within the first year of new brand launch. 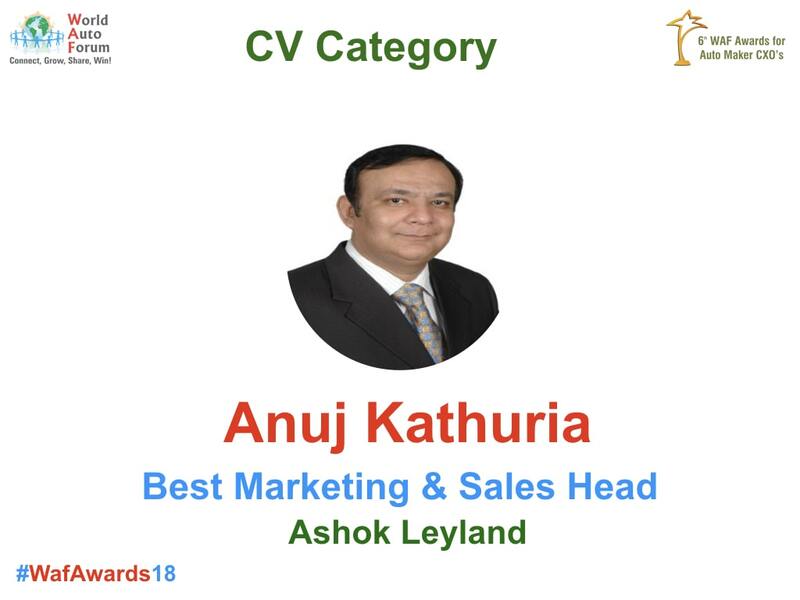 Anil has also worked with organisations like Hindustan Unilever and Gillette in the past and has corporate experience spanning last 25 years. 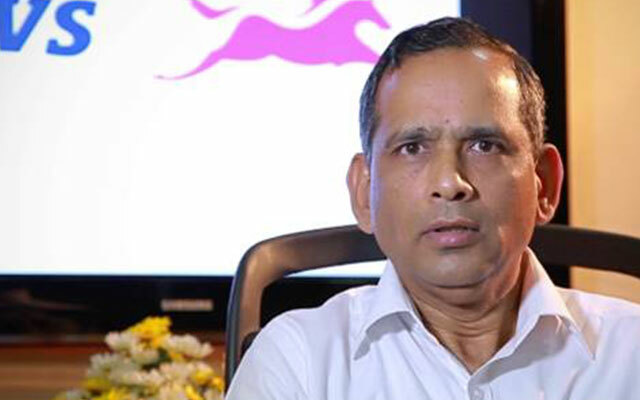 Mr Dua – You're truly a Hero! 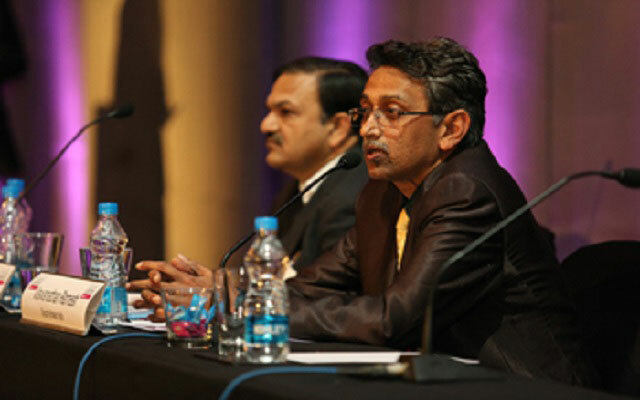 A leader, an author, a mentor, a global professional, a team member – A few roles amongst many other which Sunil has carried out successfully and effectively in the last 25 years across various organisations and geographies. 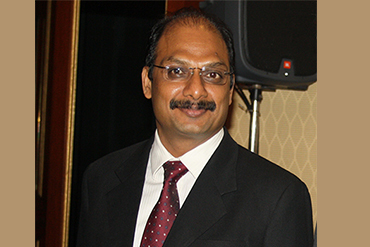 Having chosen his specialisation as Human resource pretty early in his career, he never looked back and is currently amongst the prominent thought leaders of HR in the corporate world. 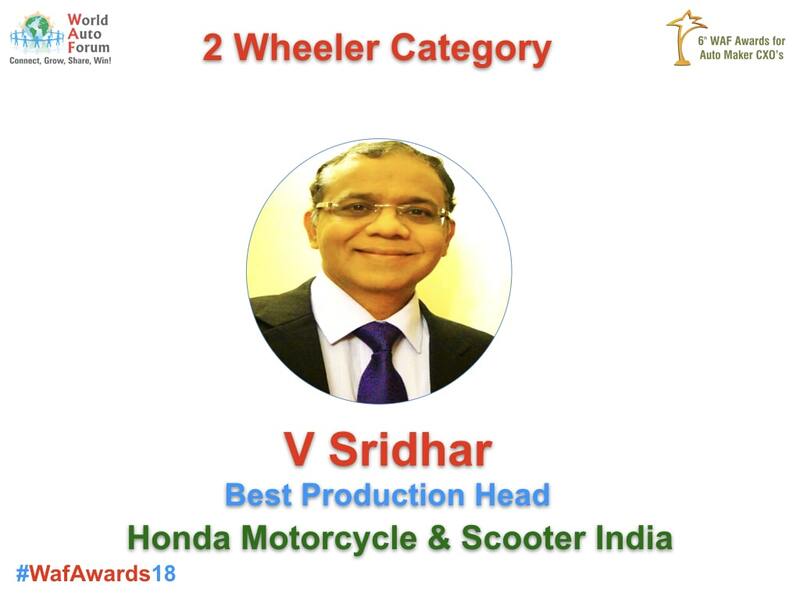 He currently heads the HR Function at Honda Cars India. 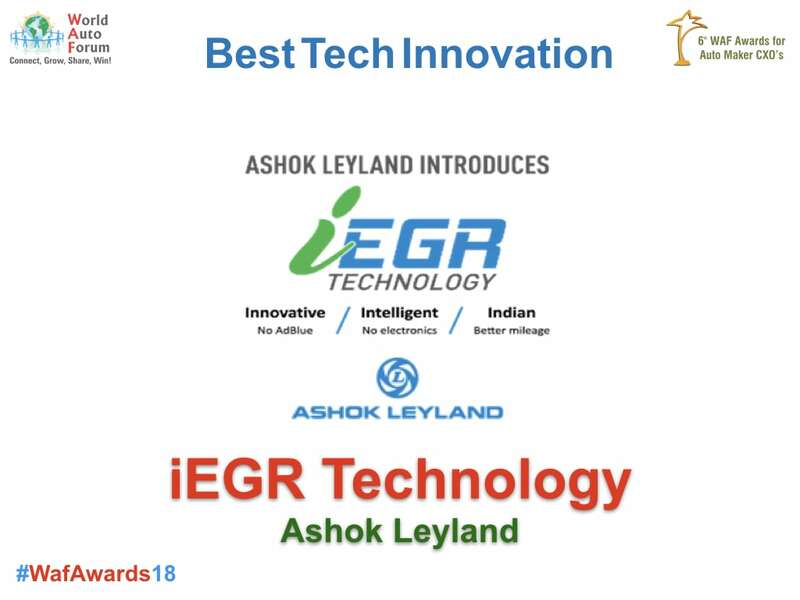 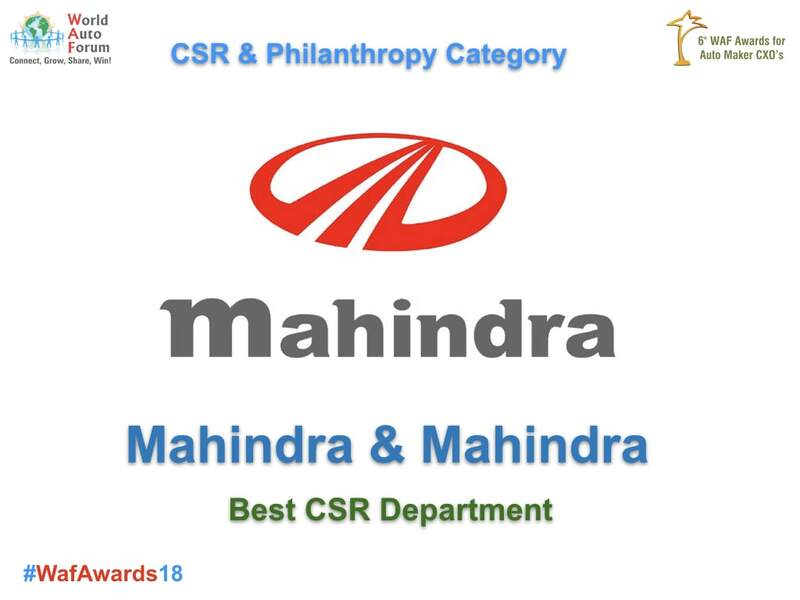 He has initiated several innovative and class leading initiatives in employee recruitment process, appraisal process and employee engagement and welfare. 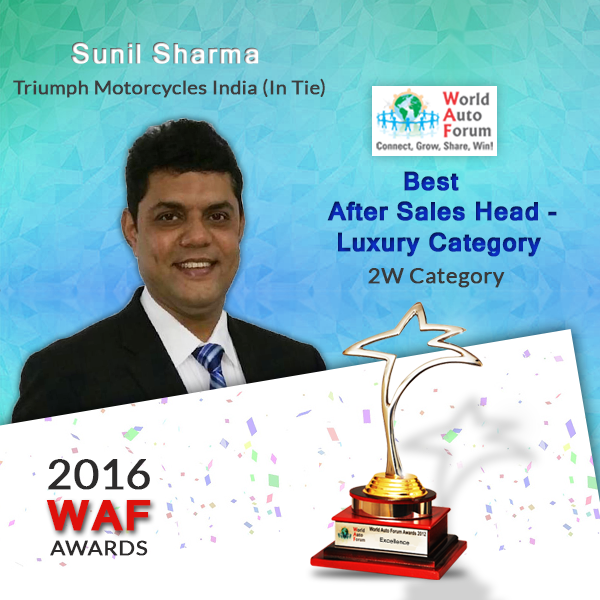 Sunil has displayed a platinum standard in managing the most important resource - People. 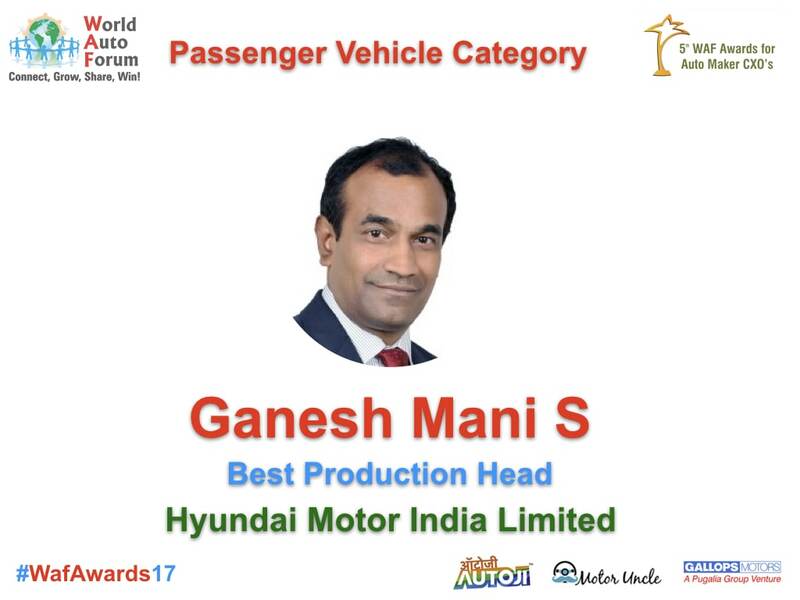 Gagan has successfully harnessed the power of the new age fluidic designs developed by the Hyundai designers and technical teams. 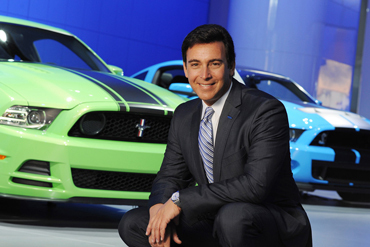 Along with his team he has orchestrated one successful product launch after another. 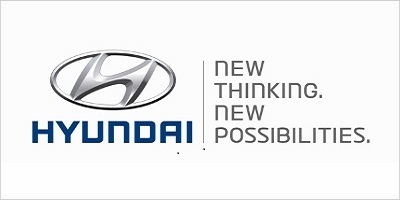 Whether it is the Hyundai Eon, i10, i20, Fluidic Verna, Sonata, Santa Fe or the newly introduced Elantra, these products have created new benchmarks in styling, comfort, safety, performance and technology features, thus strengthening the ‘Modern Premium’ brand philosophy of Hyundai and making it one of the most loved brand of the Indian consumers. 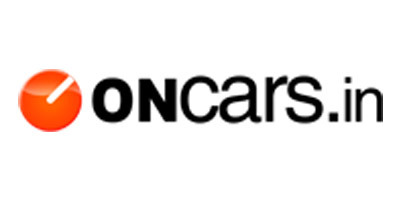 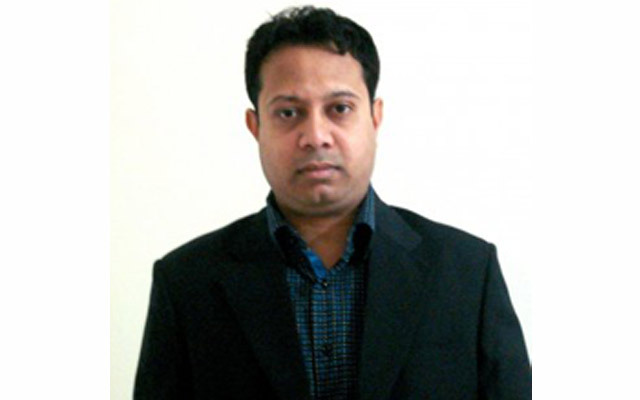 Gagan has demonstrated a Platinum standard in Product Planning. 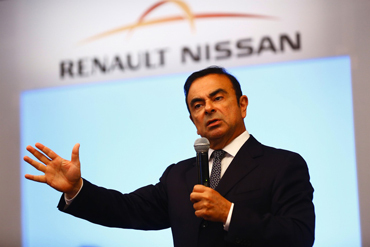 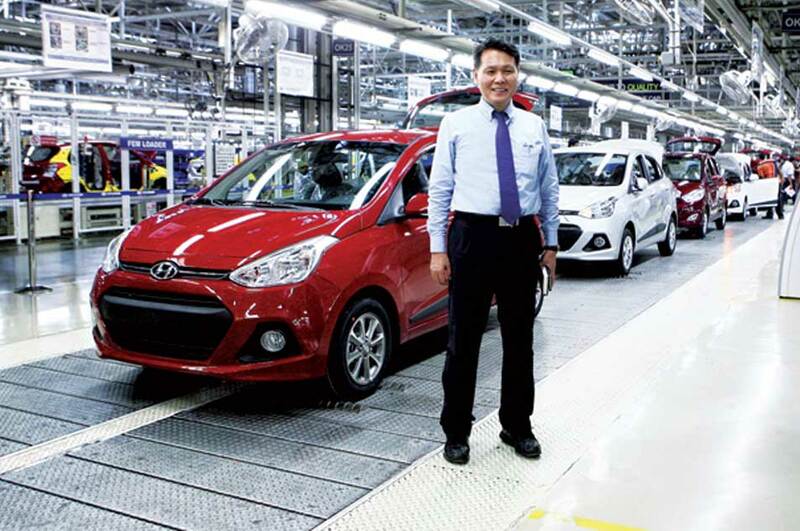 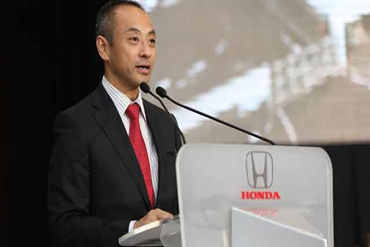 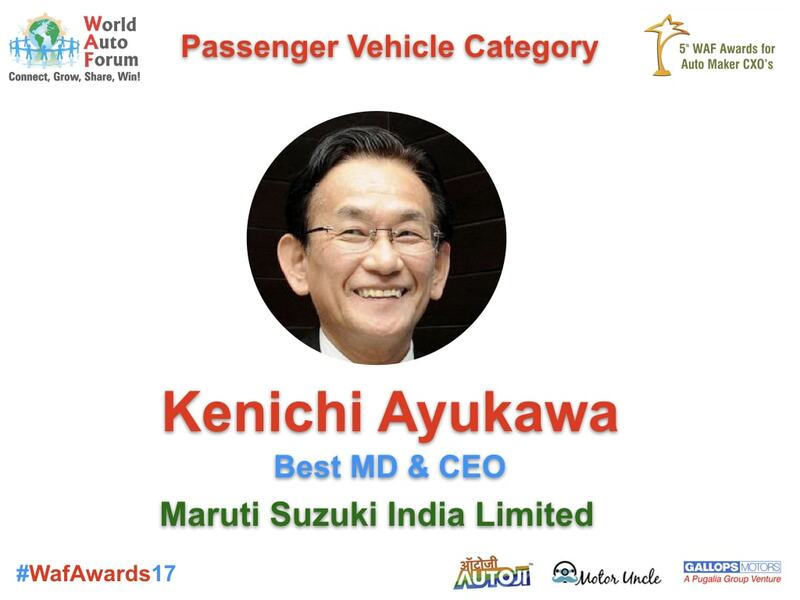 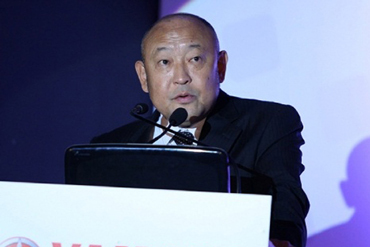 Mr. Kenichi Ayukawa is Chief Executive Officer, Managing Director, Director of Maruti Suzuki India Limited. 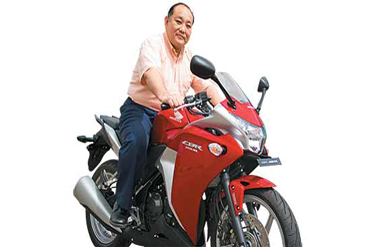 He is a Law graduate from Osaka University, Japan, Mr. Ayukawa joined Suzuki Motor Corporation in 1980. 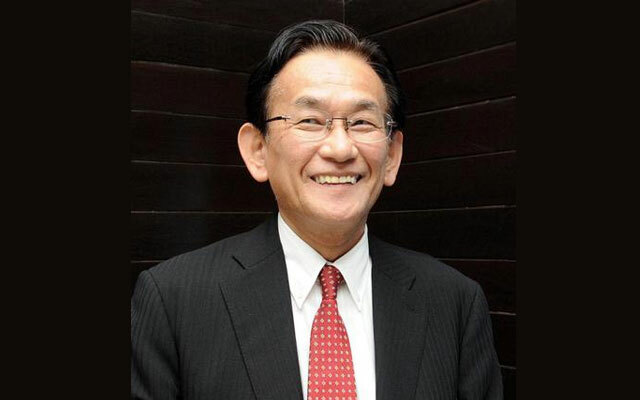 Mr. Ayukawa has handled several key assignments at Suzuki Motor Corporation, Japan and in the Group's overseas operations. 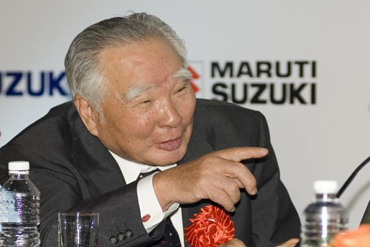 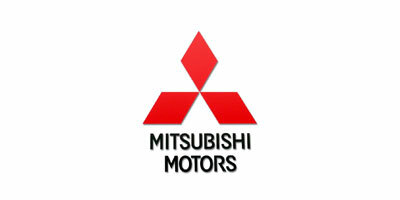 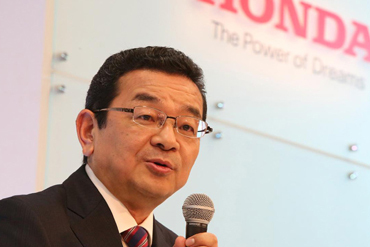 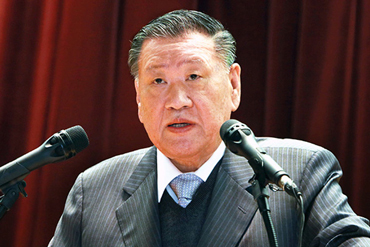 Mr. Ayukawa served as Managing Director of Pak Suzuki Motor Company from May 2004 to June 2008. 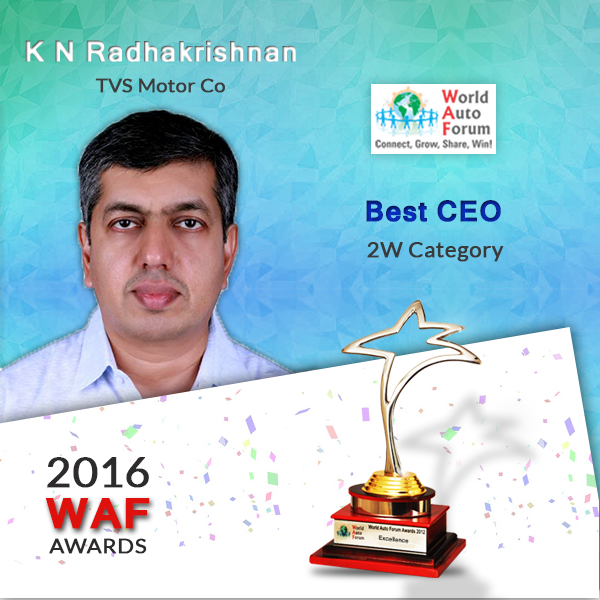 Mr. Viswanathan Ramesh is currently the Senior Vice President - Manufacturing at Toyota Kirloskar Motor Limited. 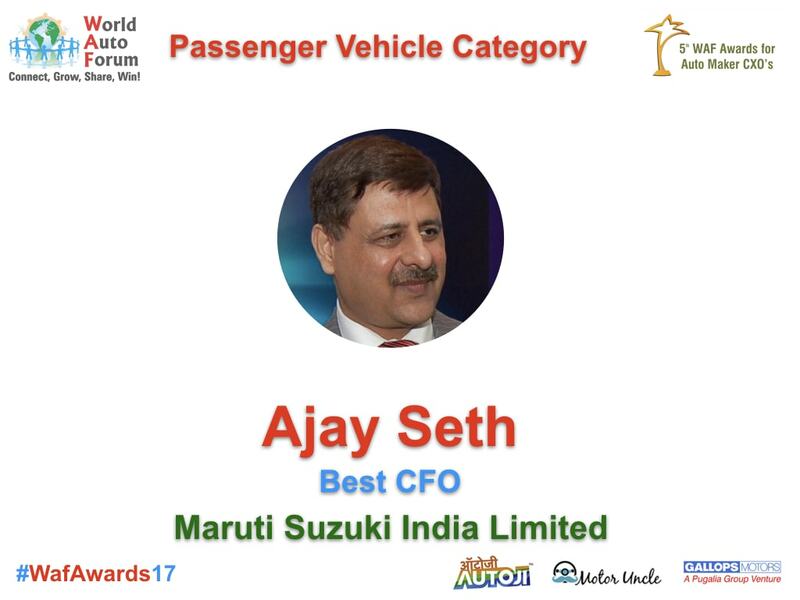 He completed his Master's Degree in Manufacturing Management from BITS Pilani and has a vast experience of 30 years in various global automotive corporations. 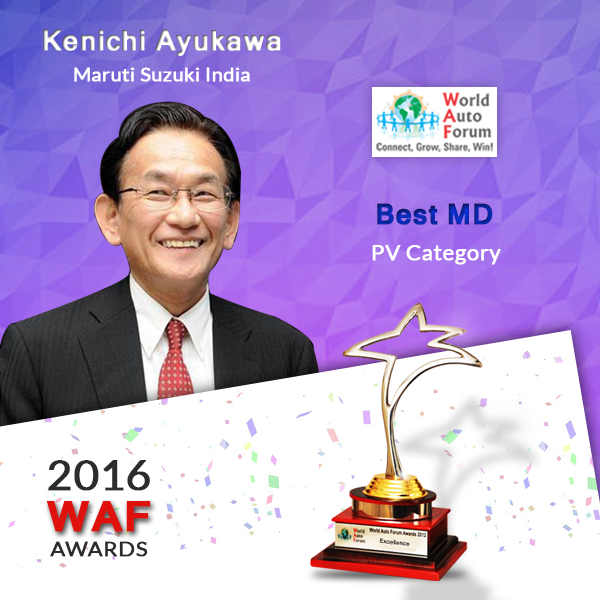 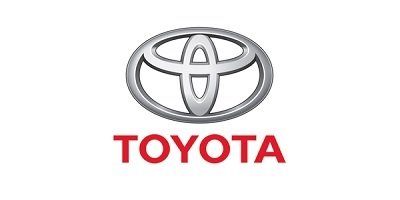 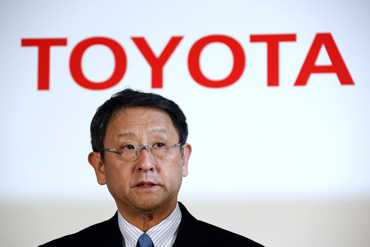 He is an accomplished business leader with excellent track record of achieving business results and strategic objectives for Toyota. 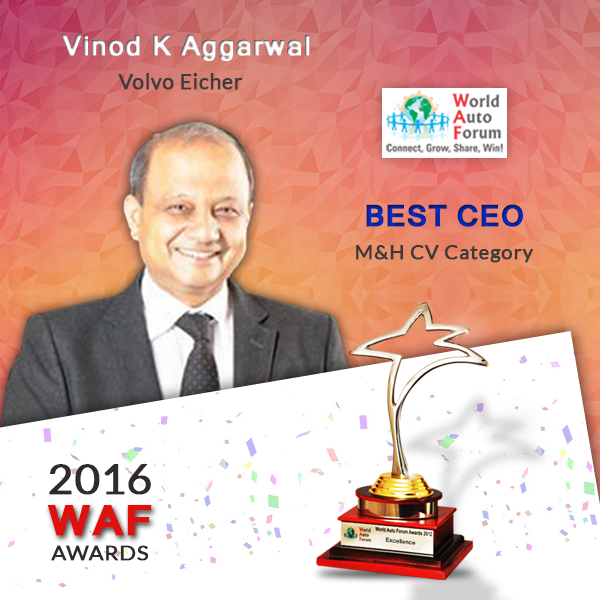 He is known to be a passionate people's leader and has led over 4000 people by developing, engaging and motivating people to achieve business results. 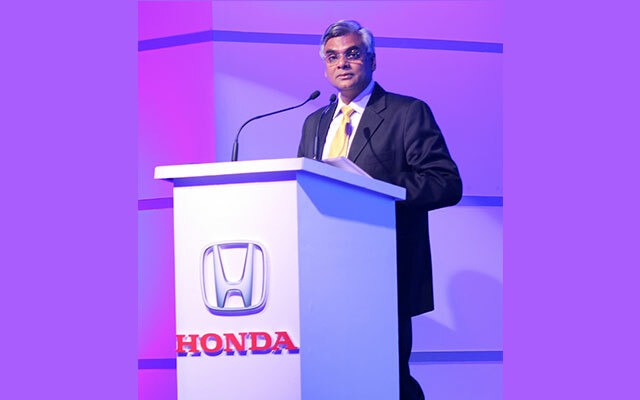 Jnaneswar Sen, Sr. Vice President – Marketing & Sales, Honda Cars India Ltd is a graduate in Electrical Engineering from the Delhi College of Engineering. 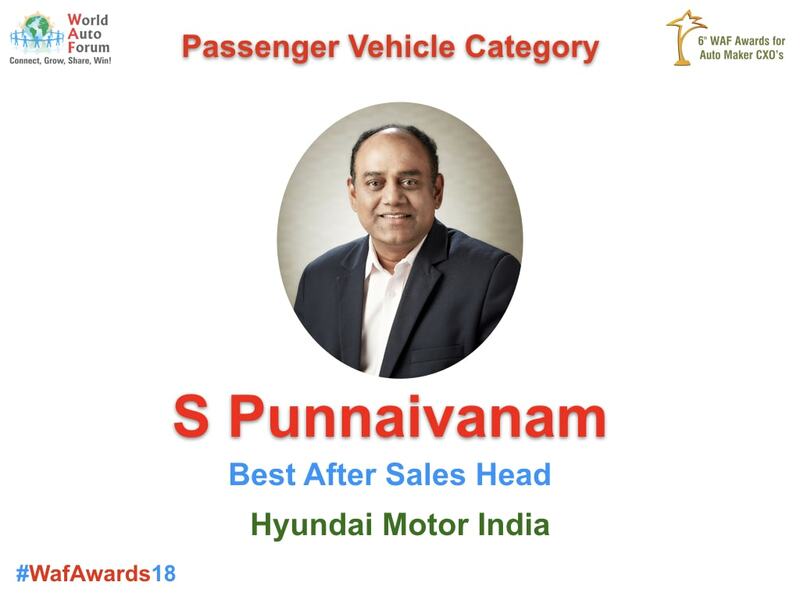 Mr.Sen has done his post-graduation in Business Administration from the prestigious IIM, Bangalore.He has been associated with Honda Cars India since year 2006 and has played an instrumental role in the expansion of Marketing & Sales activities of the company. 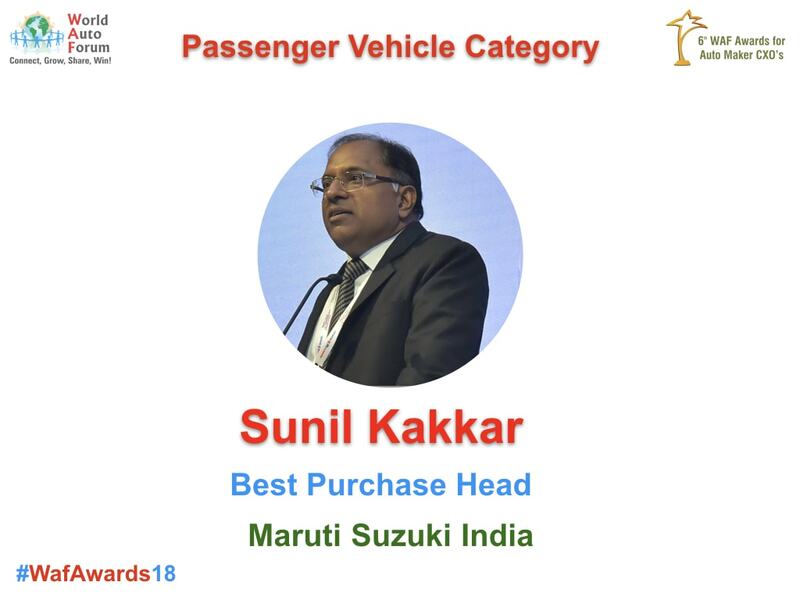 Sen has been associated with the Indian Automobile Industry for almost three decades and has excellent sales & marketing experience with an in depth understanding of consumer trends in the Indian market. 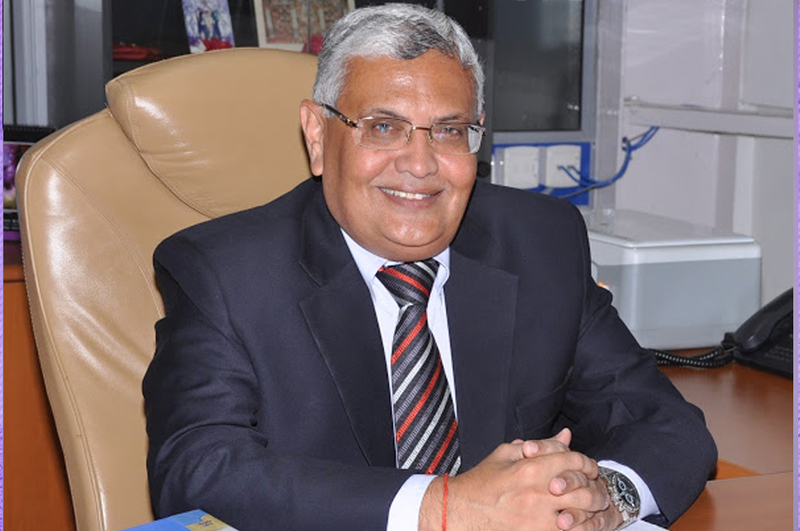 Prior to joining HCIL, Mr. Sen has worked with Maruti Udyog Ltd and B.H.E.L. Sudam Maitra, Managing Executive Officer -Supply Chain, Maruti Udyog Limited is a graduate in Mechanical Engineering. 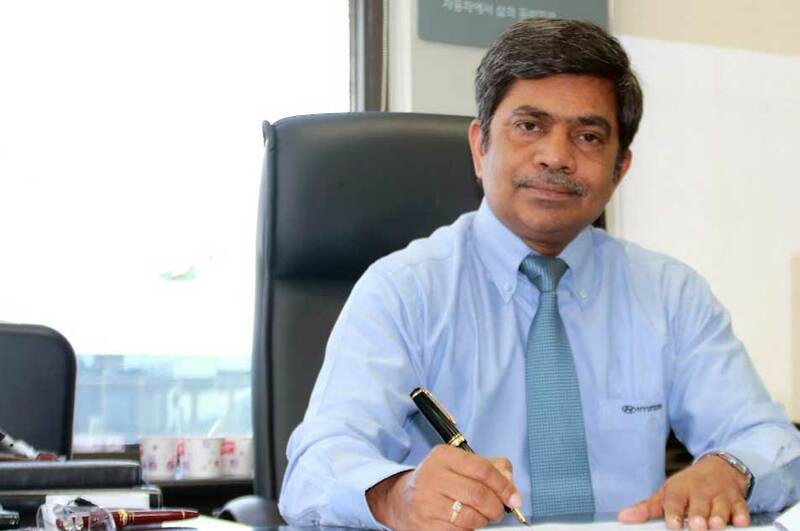 During his term at Maruti Udyog Limited, Mr. Sudam Maitra has responsibility for the procurement of components and raw material, inbound and outbound logistics. 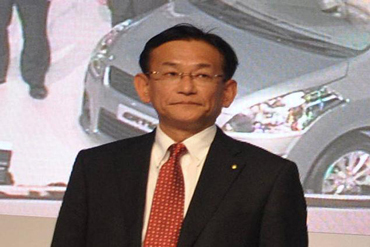 He was also a member of the board at Maruti, as well as several of its supplier joint ventures, such as MS SKH Metals and MS Nippon Thermostat. 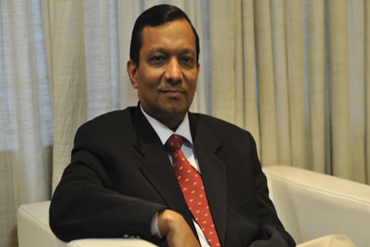 Mr. Sudam Maitra has worked to develop the Indian supply base for much of his career. 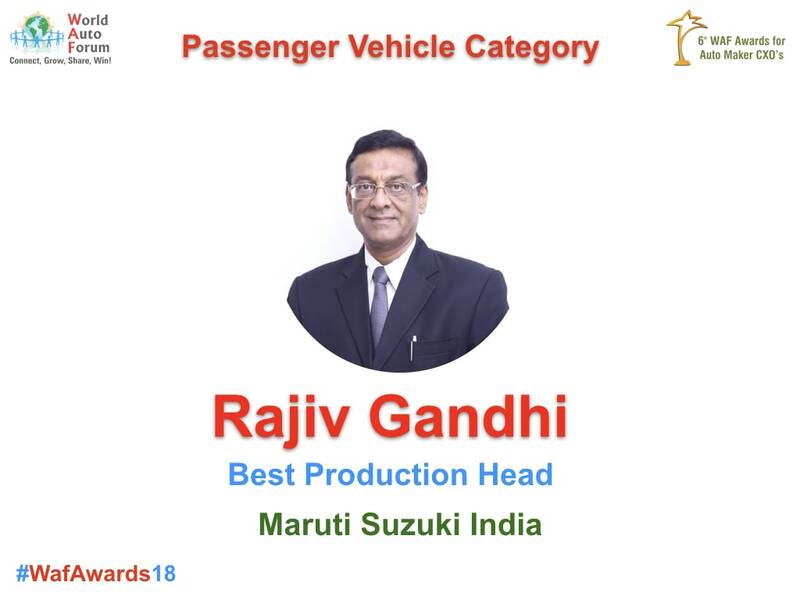 He has been at the centre of a transformation that has not only allowed Maruti to prosper by working with efficient, reliable material suppliers and logistics providers, but his work has also contributed to the development of the entire country’s automotive supply base. 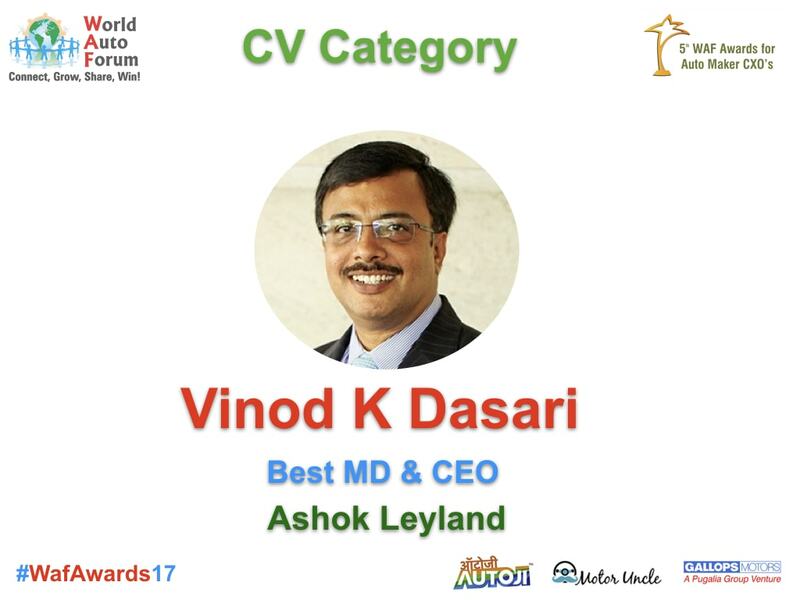 Mr Vinod K. Dasari is the Managing Director of Ashok Leyland Limited and Director on the Board of Ashok Leyland. 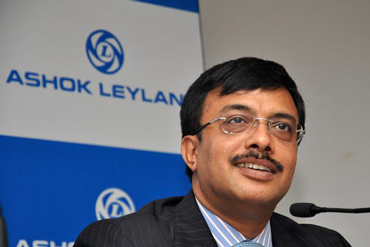 Mr Vinod K Dasari ""joined Ashok Leyland as its Chief Operating Officer in April 2005. 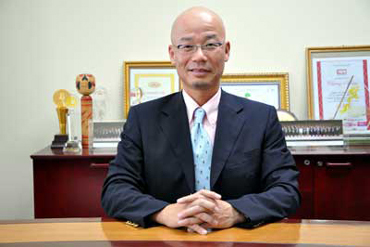 He was elected as a member of the Board of Directors in May 2008. 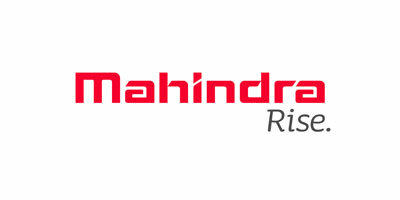 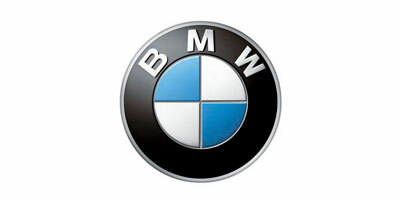 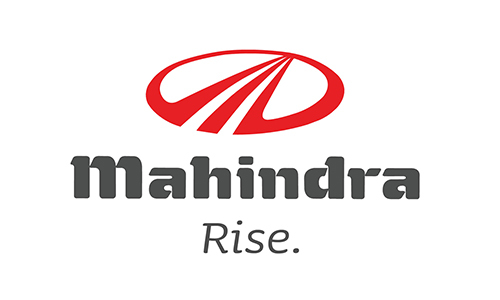 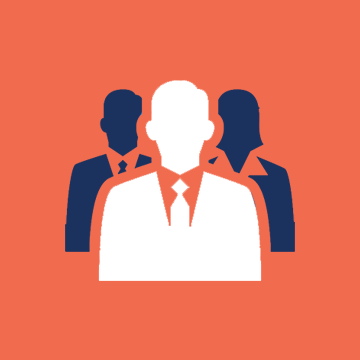 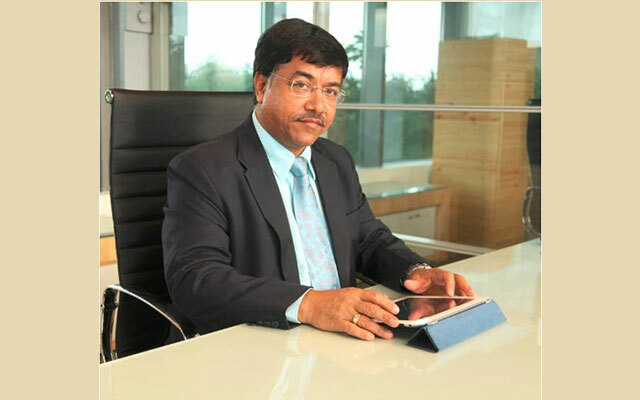 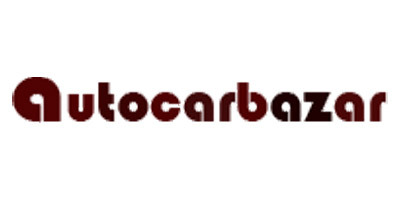 As MD, has overall responsibility for the Company’s operations. 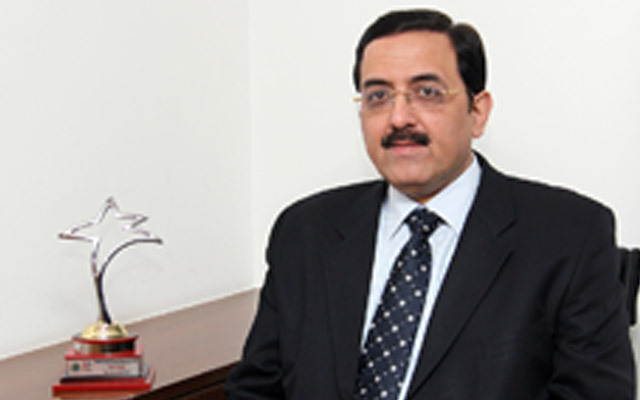 Mr. Anuj Kathuria serves as President of Operations at Ashok Leyland Limited. 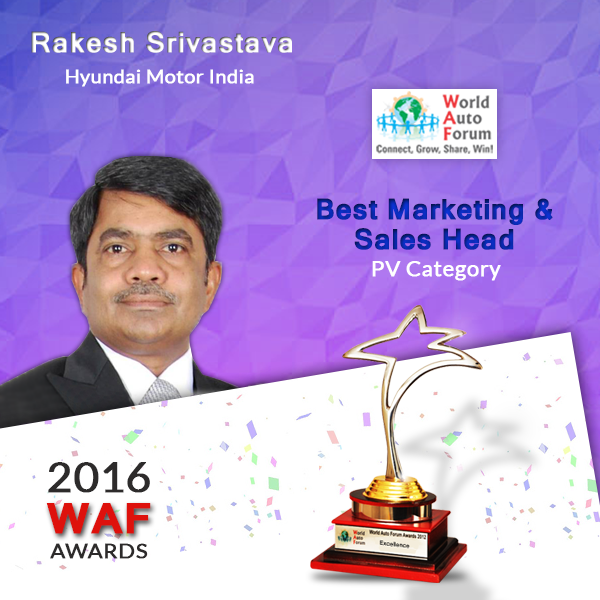 Mr. Kathuria served as Executive Director of Operations and Special Director of Strategic Sourcing at Ashok Leyland Limited. 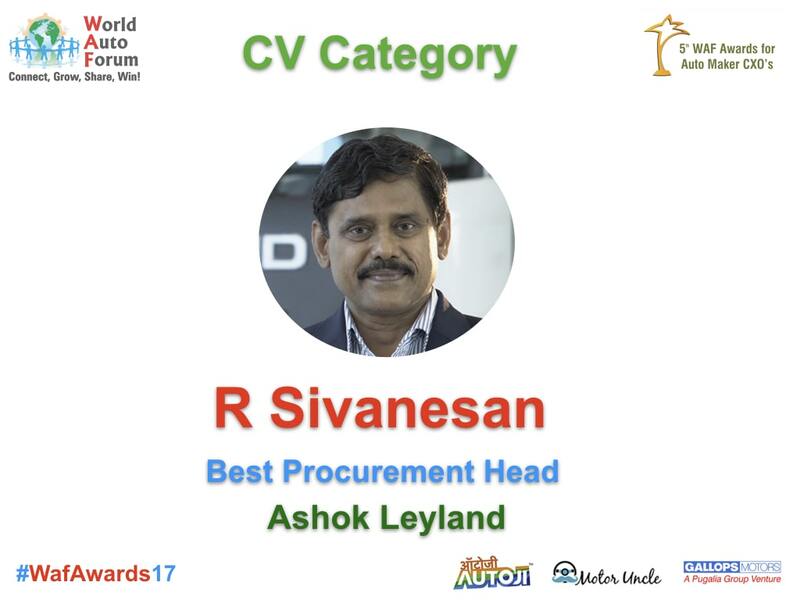 Mr. Kathuria serves as Head of Strategic Sourcing and Supply Chain at Ashok Leyland and is responsible for all supply chain activities. He has been with Ashok Leyland since 2010. 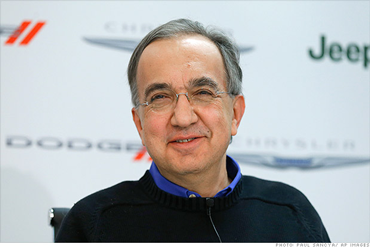 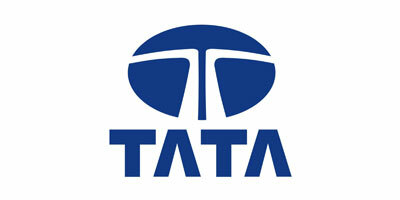 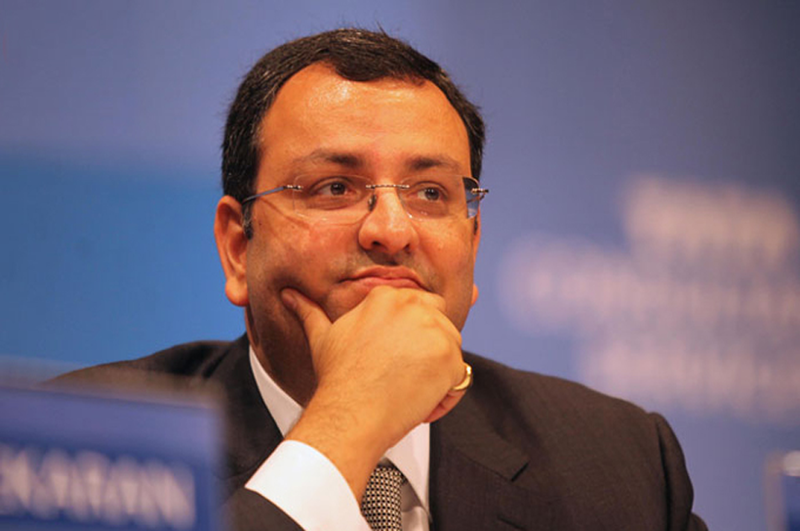 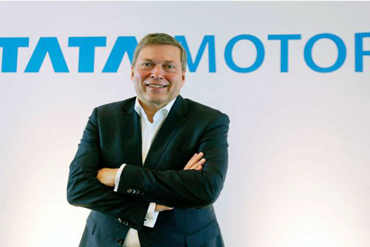 He served as the General Manager of Tata Motors. 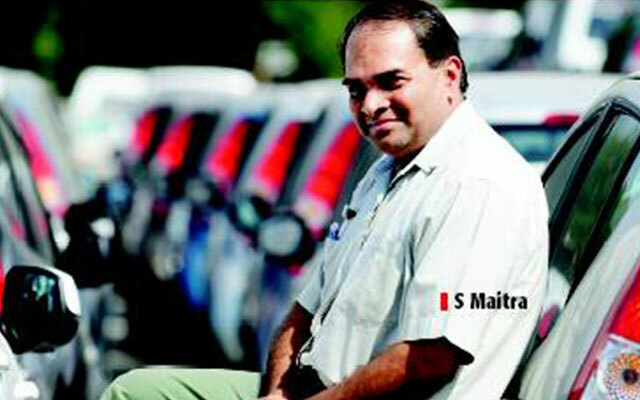 Mr. Kathuria has 19 years of experience. 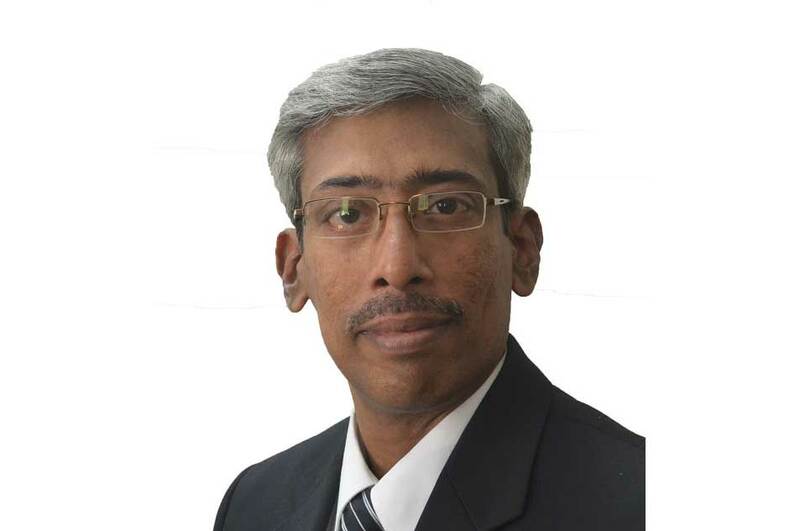 Mr. Kathuria has a wealth of experience across multiple functions including manufacturing, sourcing, mergers and acquisitions and program management. 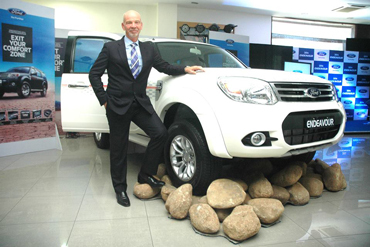 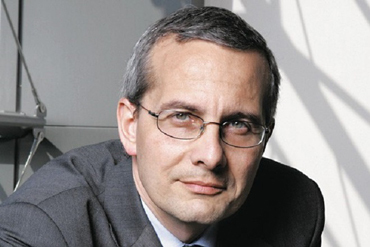 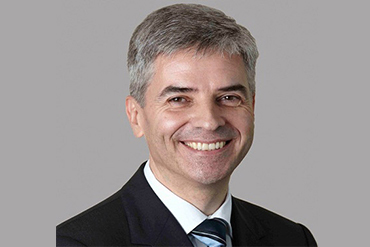 He also undertook a two year overseas assignment as Head of Global Sourcing. 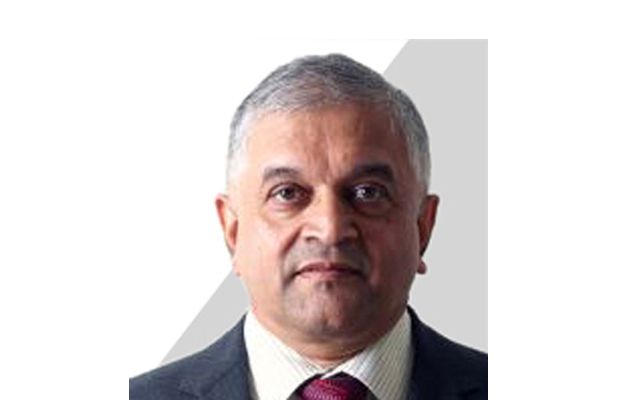 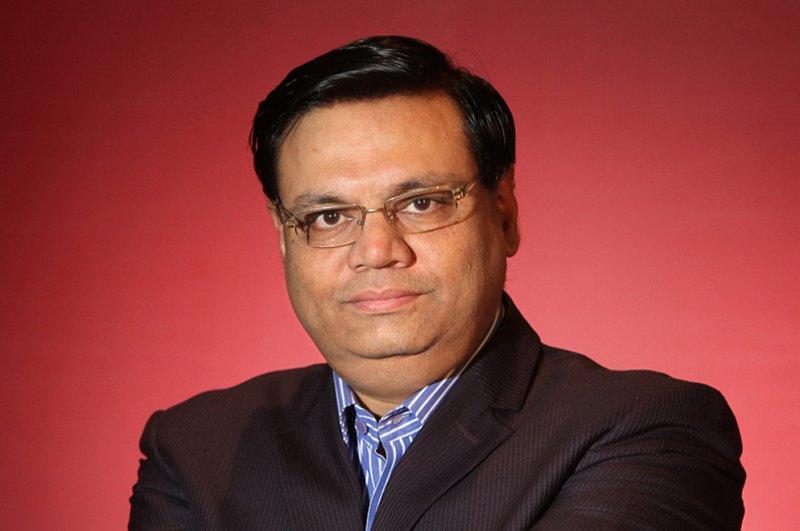 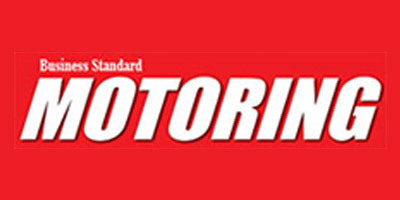 Mr. Kathuria has been Non-Executive Director at Optare Plc since March 9, 2012. 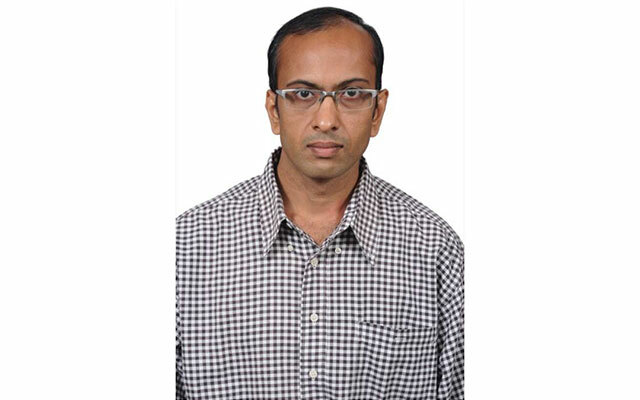 Mr. Kathuria holds Engineering Graduate from BITS and an MBA from XLRI, Jamshedpur. 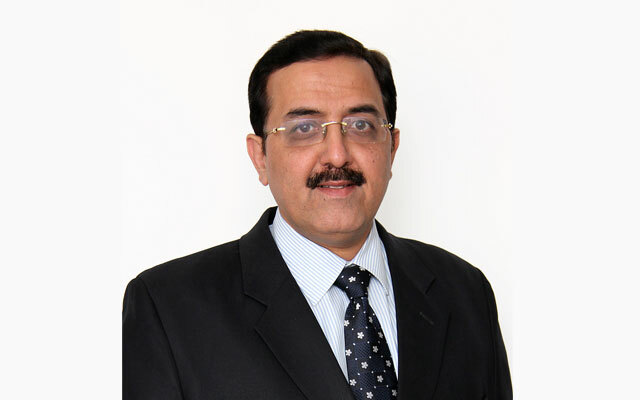 Mr. A. K. Birla is the Executive Vice President, Sales, Marketing, Aftermarket, VE Commercial Vehicles Ltd. Over the years, Mr. Birla has held several senior positions in the organization. 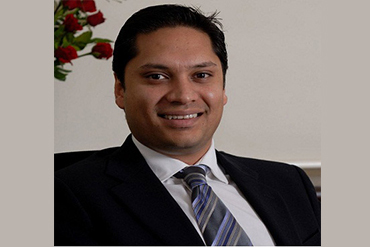 In 2010, Mr. Birla took on the role of President-ETB. 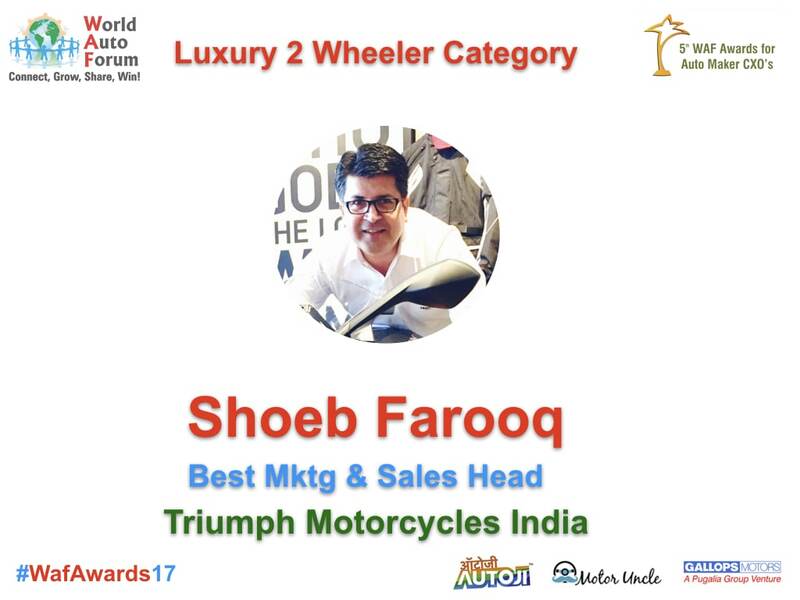 He holds a Mechanical Engineering Degree from BITS Pilani along with a Post graduate Diploma in Industrial Engineering from NITIE Mumbai. Venu Srinivasan - Chairman and Managing Director, TVS Motor Company, India began his career as a mechanic in his own garage during vacations. 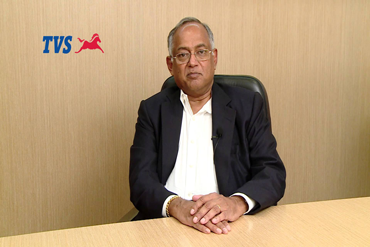 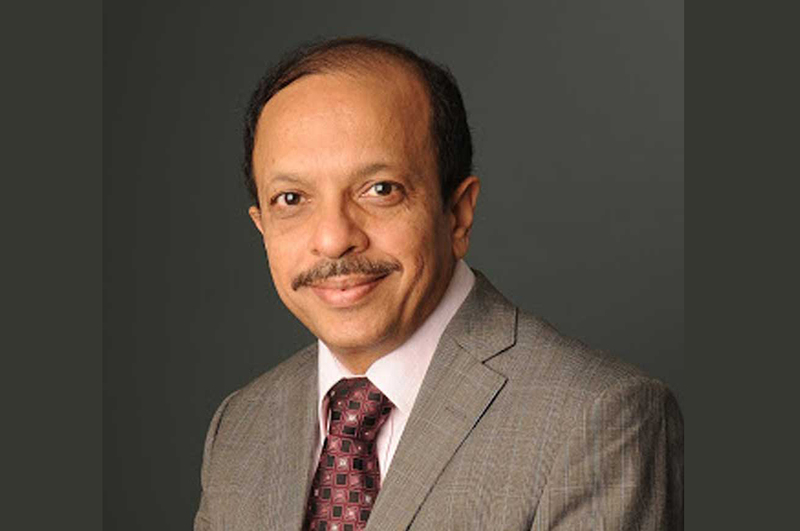 In 1979 Venu Srinivasan an engineer and an MBA from Purdue University (USA) took over as the CEO of Sundaram-Clayton. 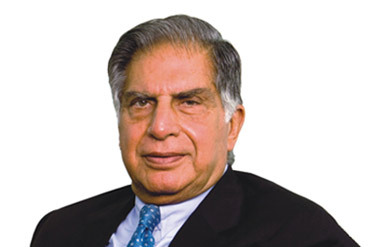 He is known to be a perfectionist and a visionary. 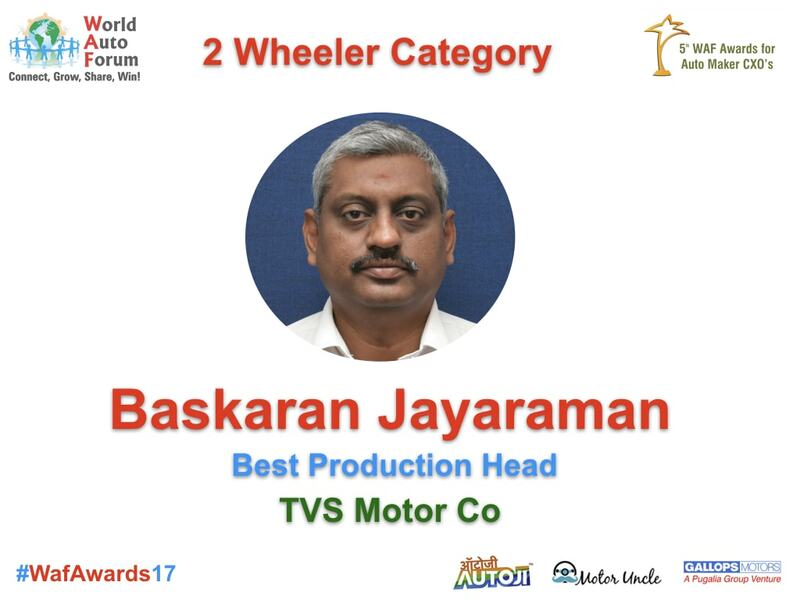 His obssession with excellence and quality bore rich dividends with Sundaram Clayton and TVS Motor Company winning the global quality benchmark - the Deming Application Prize in 2002. 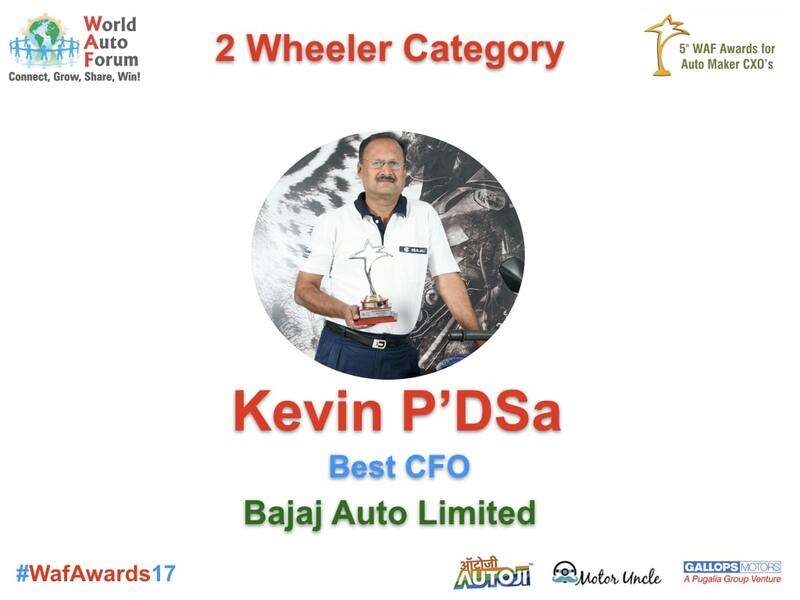 Mr. Kevin D’sa began his career with Bajaj Auto Ltd in September 1978 and is presently its Vice President (Finance). 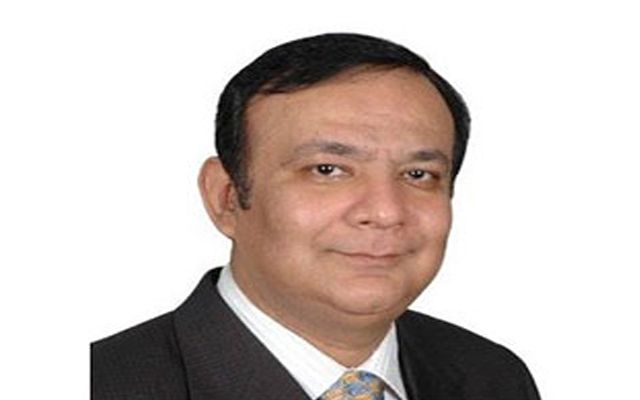 After acquiring a Bachelor’s degree in Commerce, he completed his CA in 1978 and ICWA in 1981. 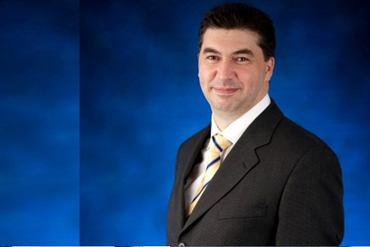 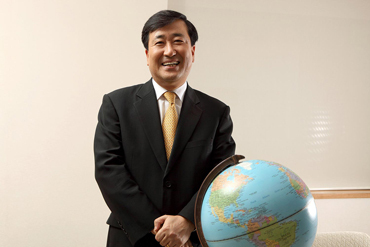 He is working as CFO & President (Business Development) in the company with effect from 20 February 2008. 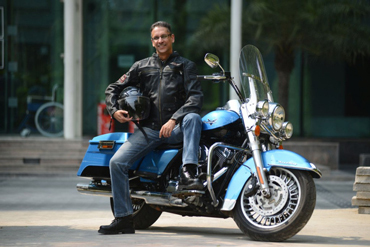 Vikram Kasbekar, Hero MotoCorp Ltd.
Vikram Kasbekar, Head Of Operations and Supply Chain, Hero MotoCorp Ltd is a graduate in Mechanical Engineering from IIT, Madras. 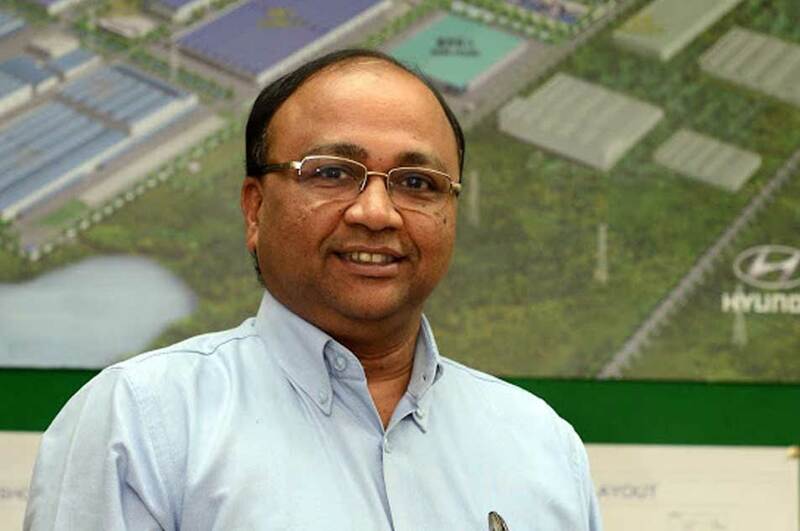 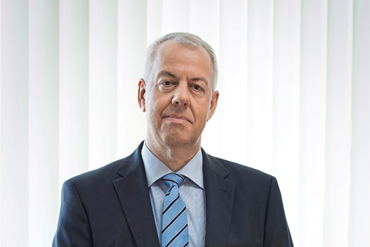 His responsibilities includes managing the entire supply chain in the most efficient and effective manner to offer best possible return on assets and capital employed, consistent with the policy of continuously developing the business as a long-term viable operation for the Plants & Supply Chain. 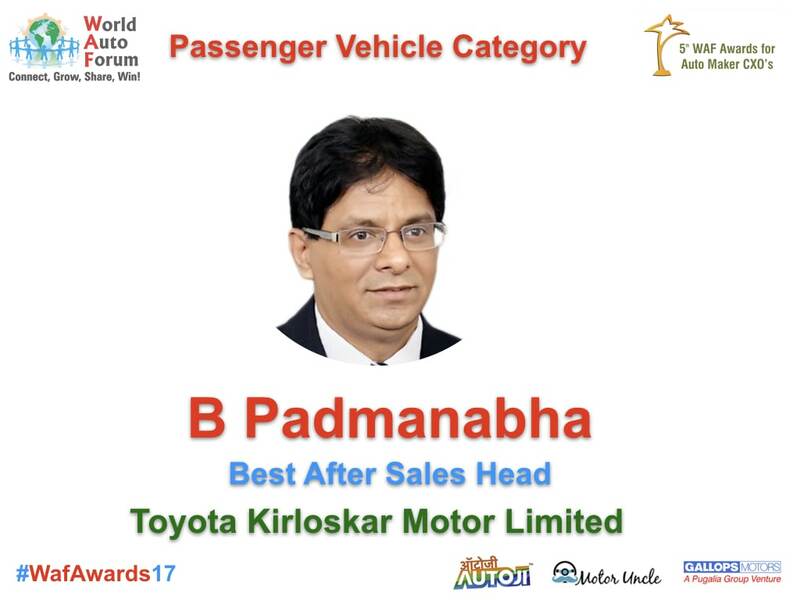 Mr. Kasbekar has over 37 years experience in the Auto Industry and has worked in commercial vehicles, Auto ancillary & two wheelers sectors. 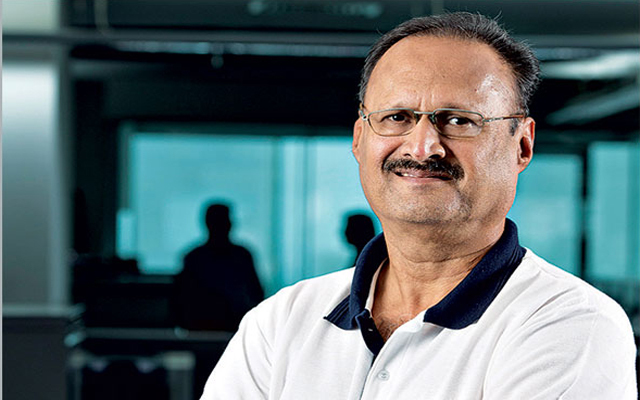 A stint at Birla Copper as 'Business Head' gave him exposure to the copper business & during this period the Mitsubishi and auto component smelter technology was stabilized & the business was turned profitable. 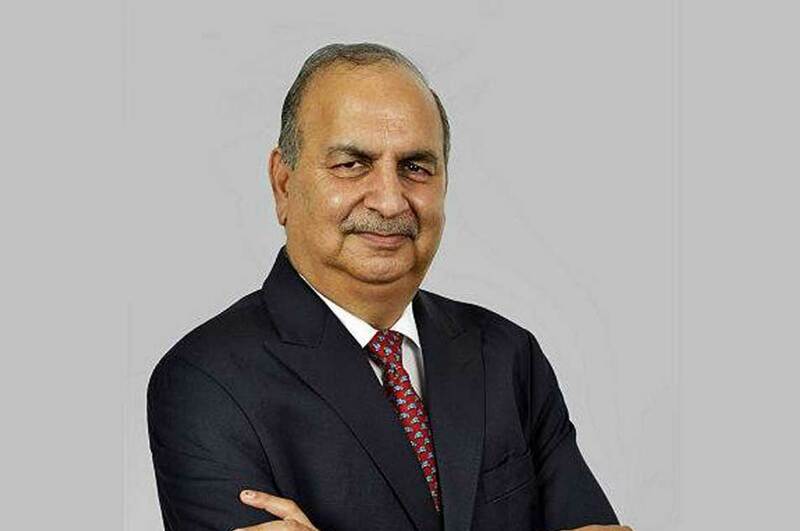 Anil Dua, Hero MotoCorp Ltd.
Anil Dua - Managing Director, OTE Group served as Sr. VP - Sales and Marketing, Hero MotoCorp for a period of 8 years starting in 2006. 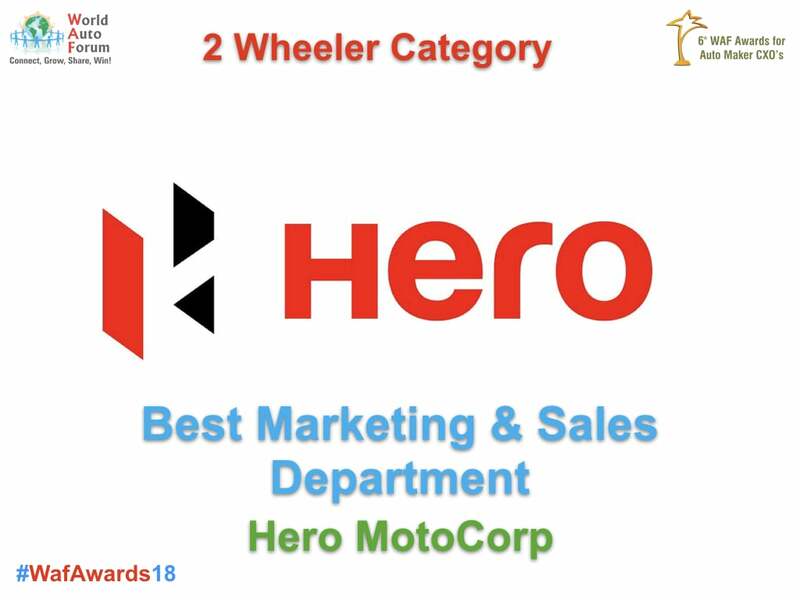 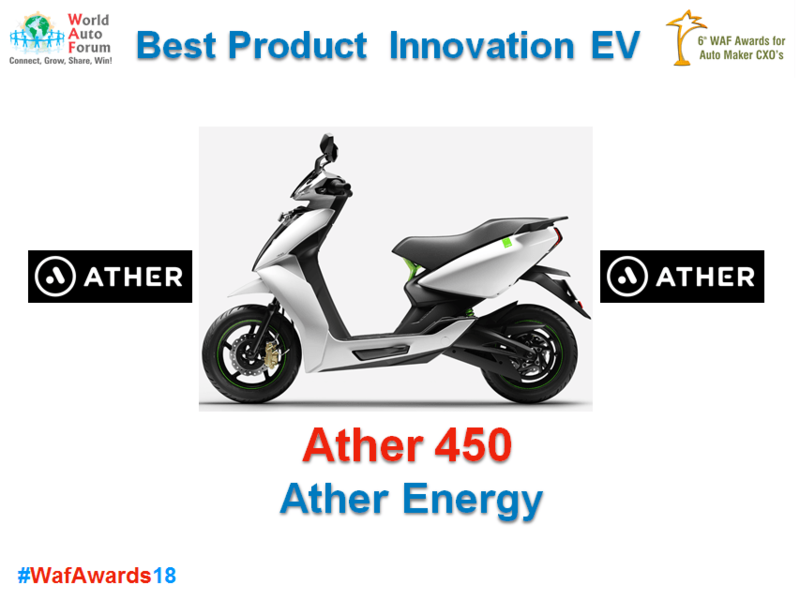 At Hero Motocorp, Dua was responsible for entire gamut of sales, marketing, advertising, dealer development and after-sales operations in India. 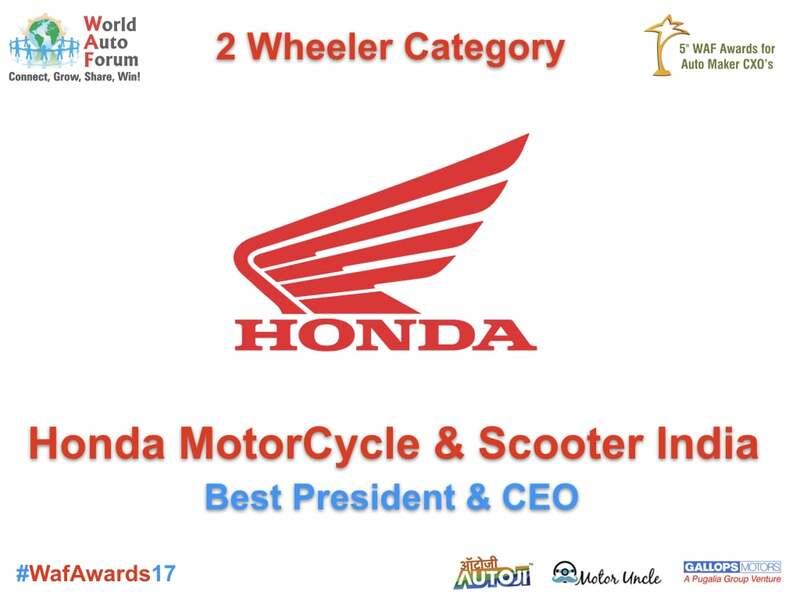 Under his leadership the company has refreshed and built the largest range of two wheelers in India, including new successful brands of CD Dlx, Glamour, CBZ Xtreme, Hunk, Pleasure and Karizma ZMR. 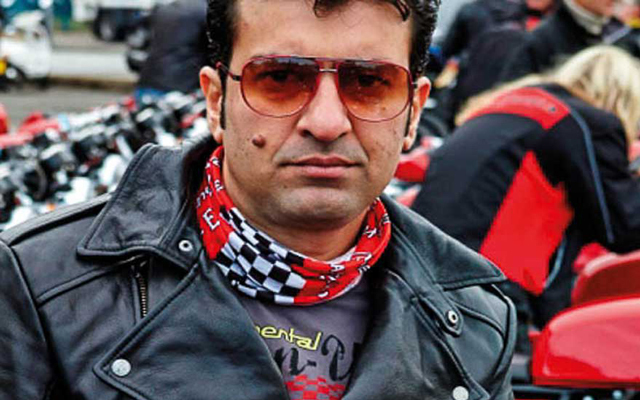 Prior to joining Hero MotoCorp, Dua has worked in multinational giants like Unilever and Gillette. 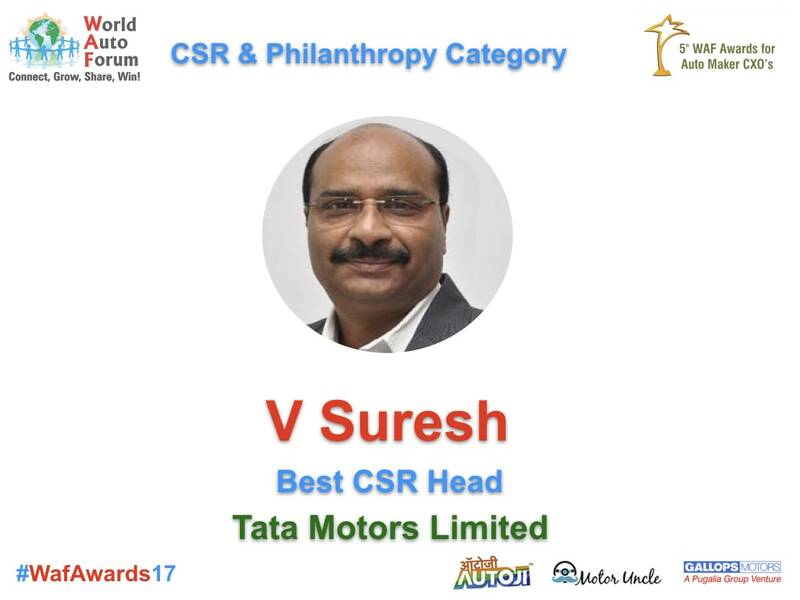 He started his career as a management trainee with Hindustan Unilever (HUL) and worked in various capacities across businesses. A global traveler, Dua is an Engineer from IIT, Delhi and an MBA from IIM Ahmedabad. 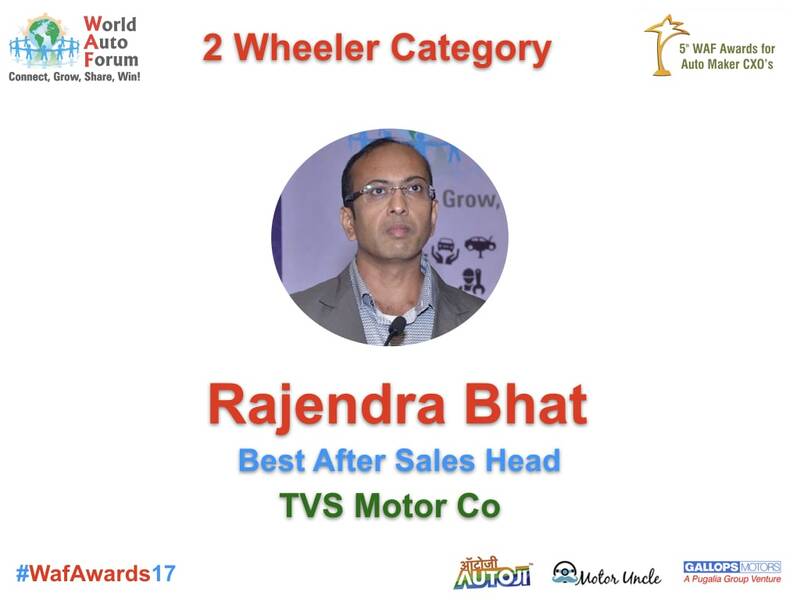 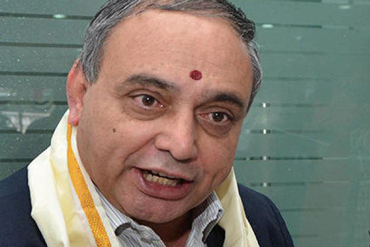 Rajendra Bhat, TVS Motor Co Ltd.
Rajendra Bhat , Vice President - Service, TVS Motor Co Ltd. Is a graduate in Mechanical Engineering from NIT Karnataka. 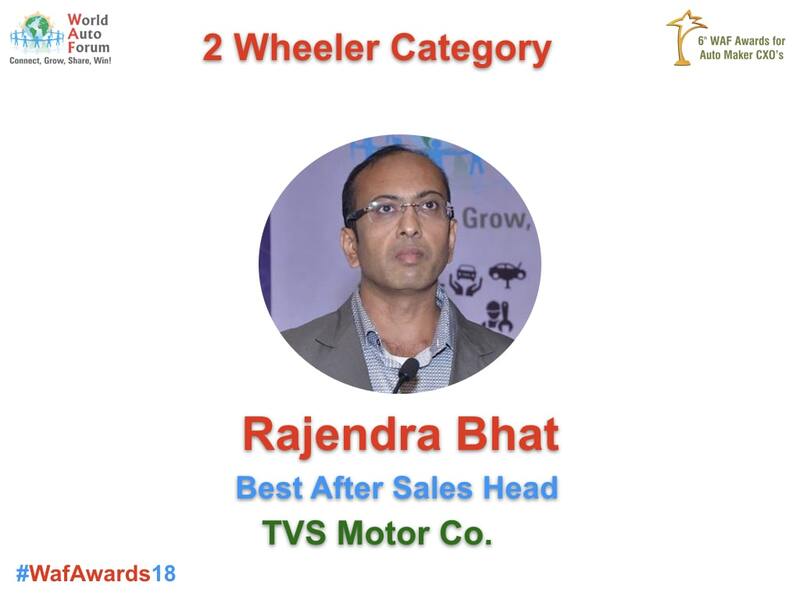 His responsibilities at TVS include elivering world class product and after sales service experience through team of 240 direct company employees and 3100 channel partners employing over 24000 staff. 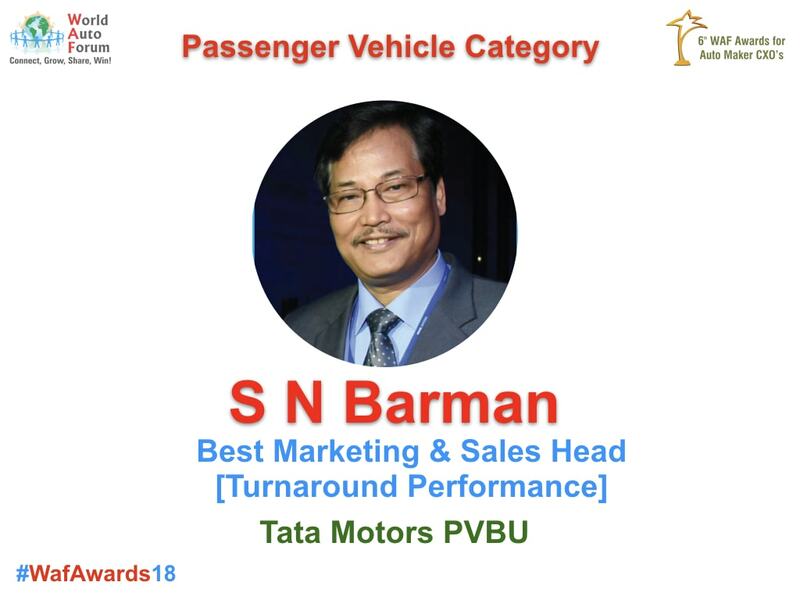 Prior to joining TVS, he was the Zonal Service Head (South), Maruti Suzuki India Limited for a period of nearly 13 years and was Incharge of after sales operations for 4 states of South zone. 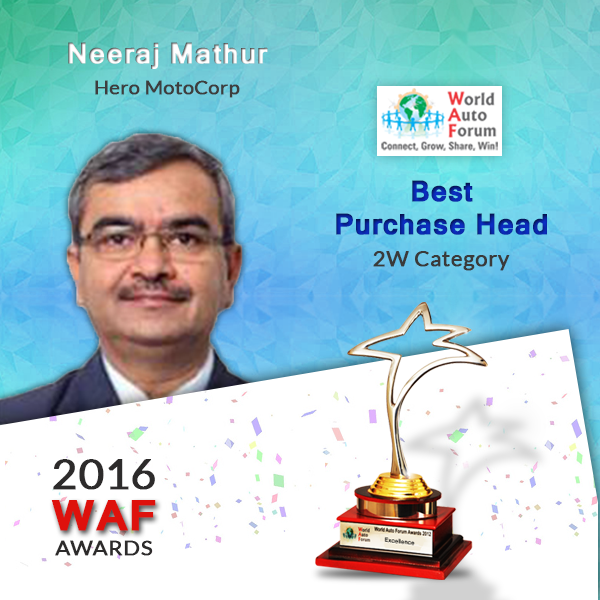 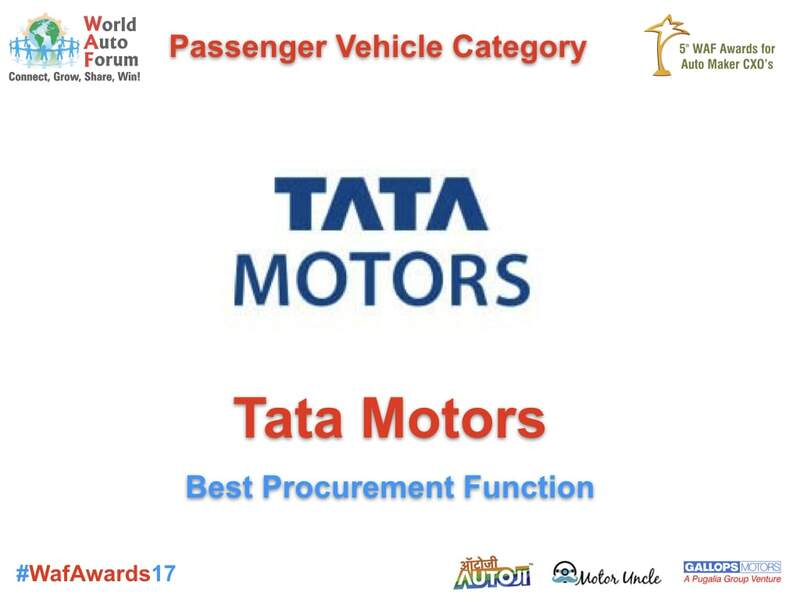 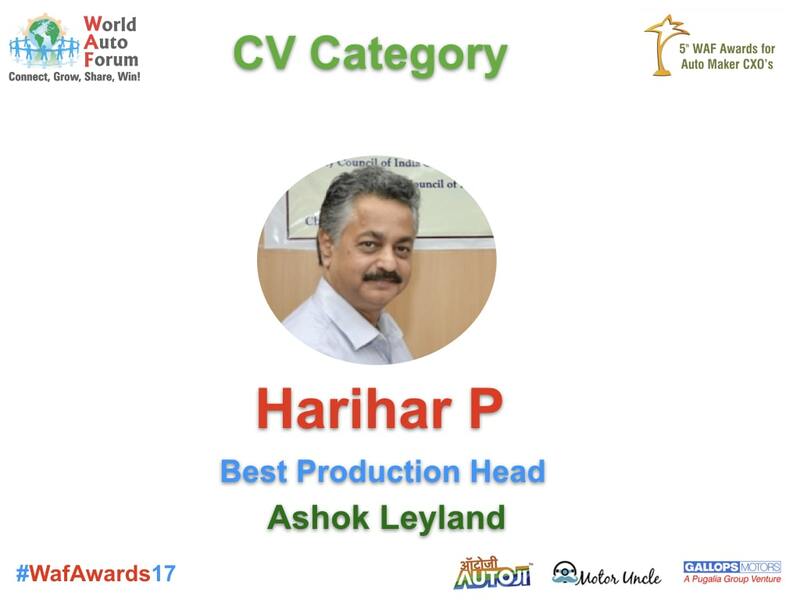 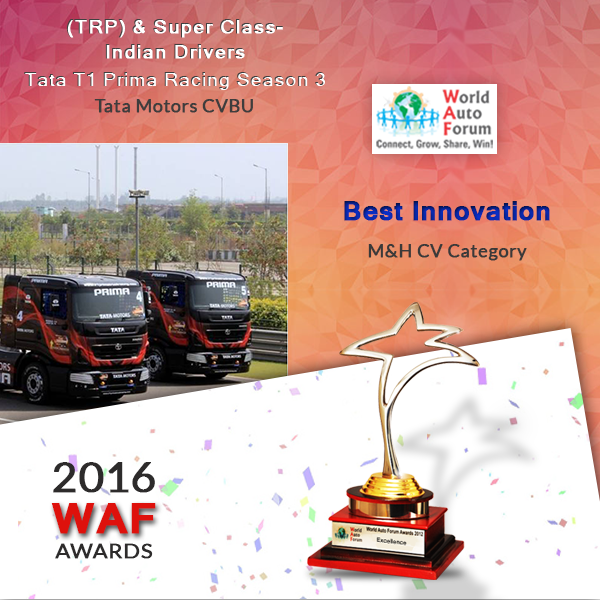 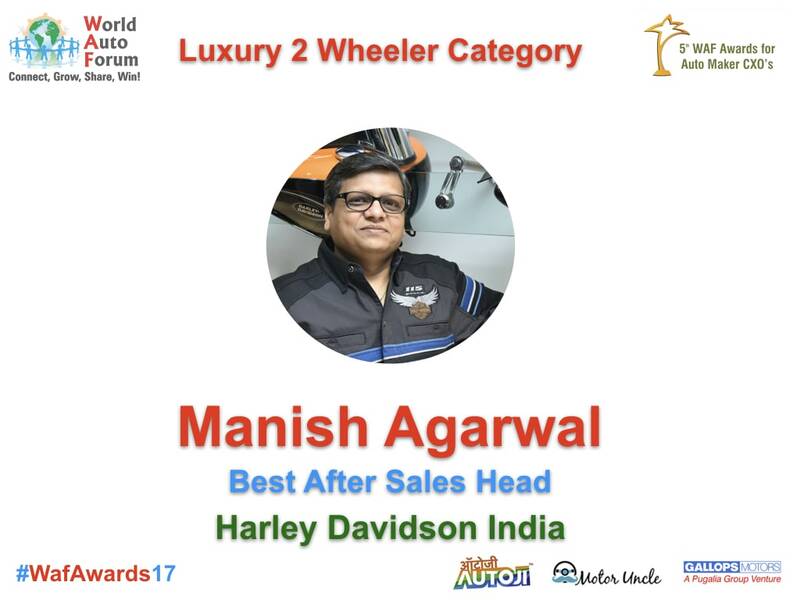 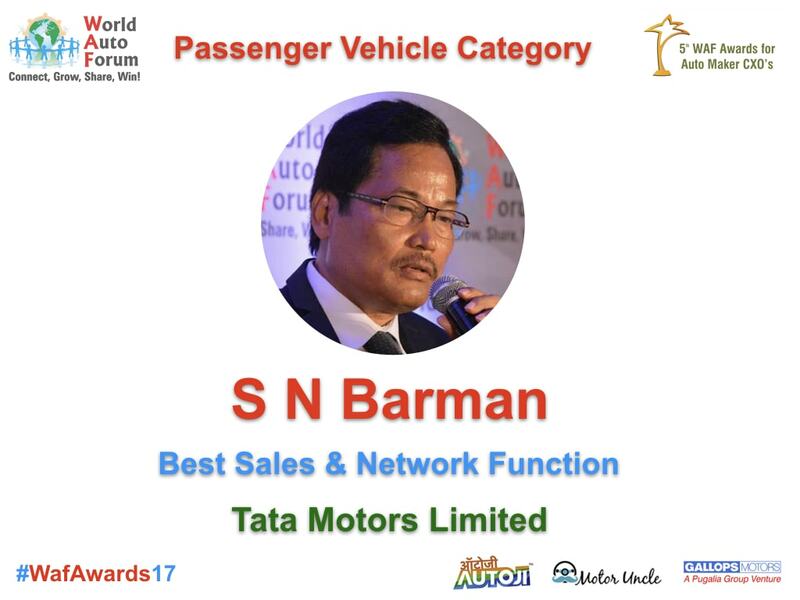 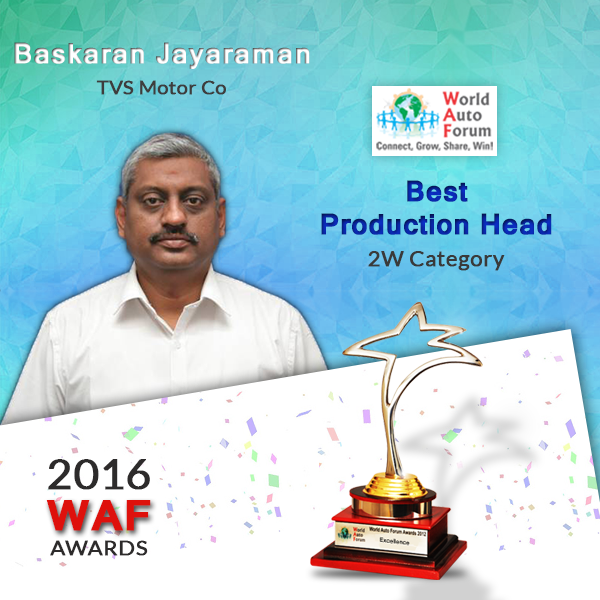 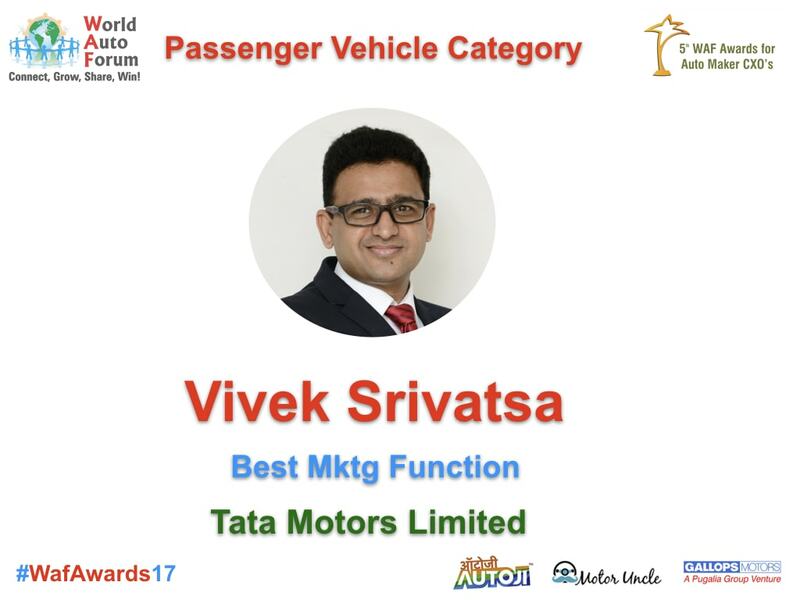 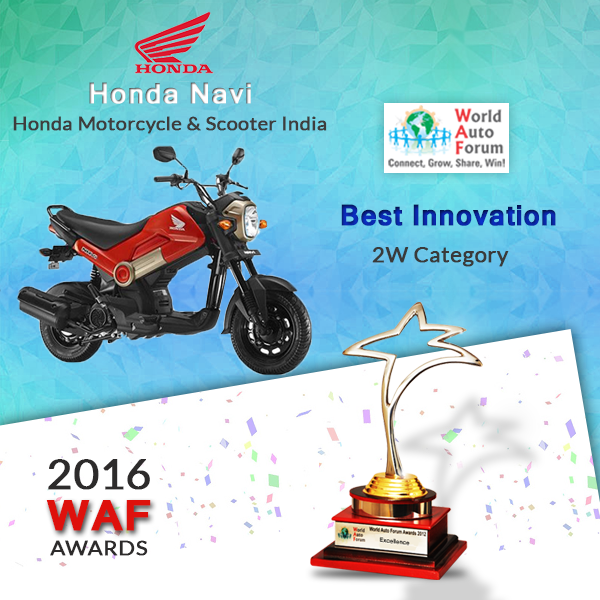 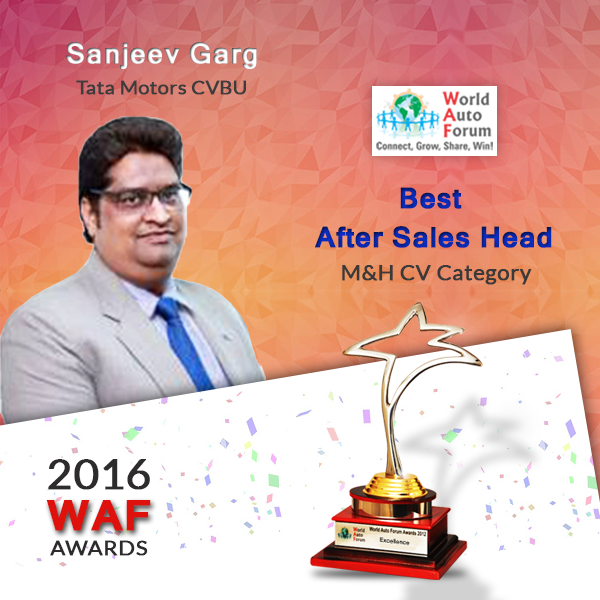 M N Varadarajan, TVS Motor Co Ltd.
World Auto Forum Awards have created a huge buzz all around town. 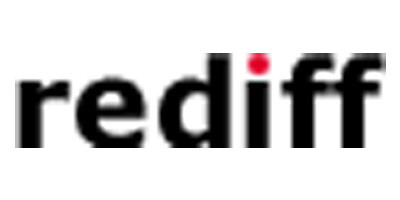 Here's a snapshot of what happened. 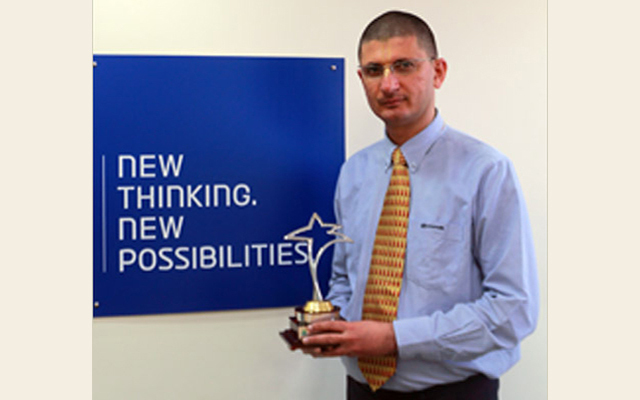 Managing Director, GM India had a cake cutting at the office for Winning After Sales Head. 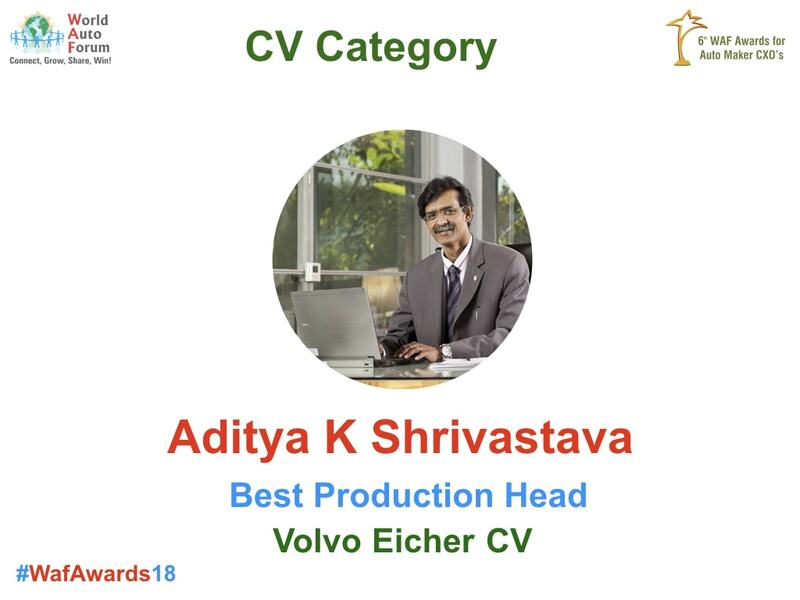 Corporate HR shared the news with all employees at HQ, All Factories, All Regional Offices and also the news of Winning the award written on the HR Happy Board at every GM India Establishment in the country for a week! 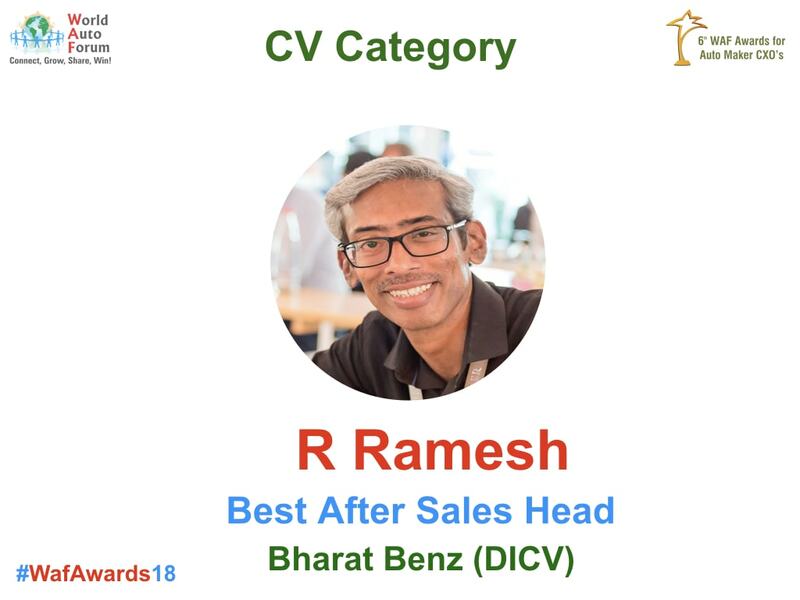 A lot of Winning CXO's quote the award in their CV's, Fb and Linked in Profiles. 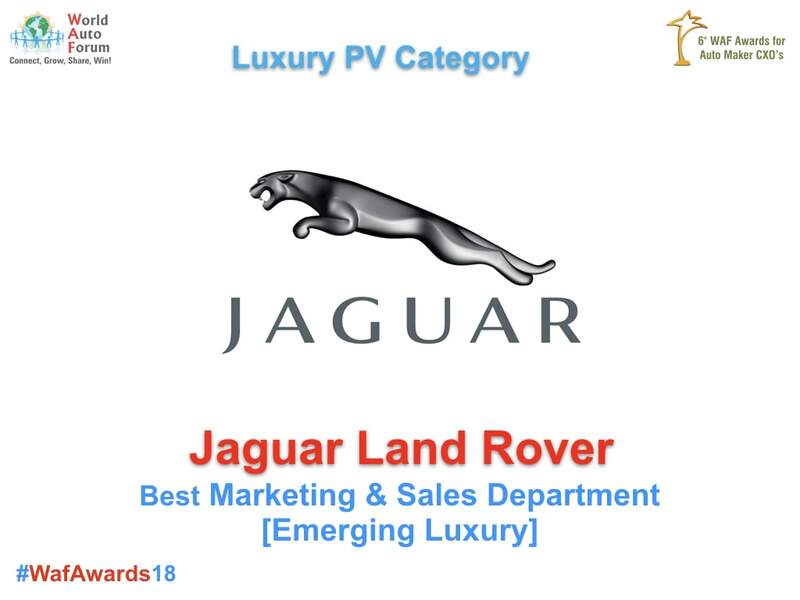 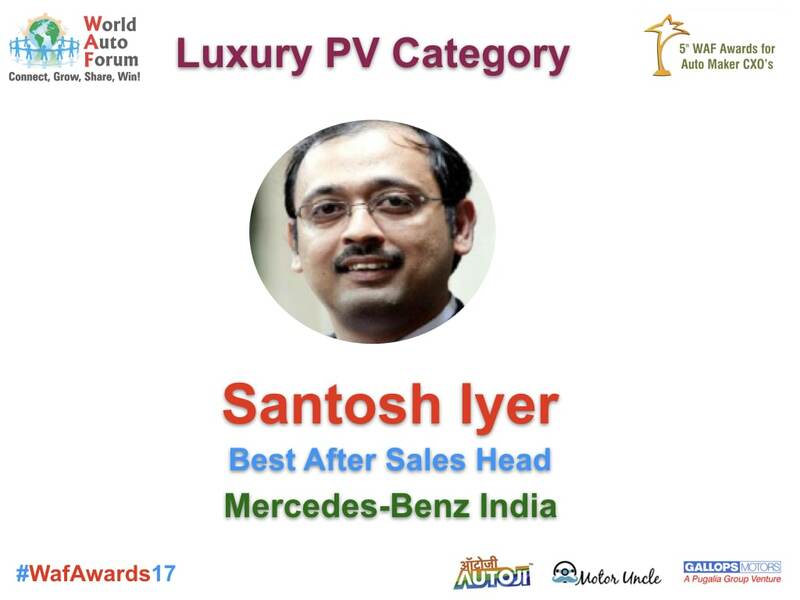 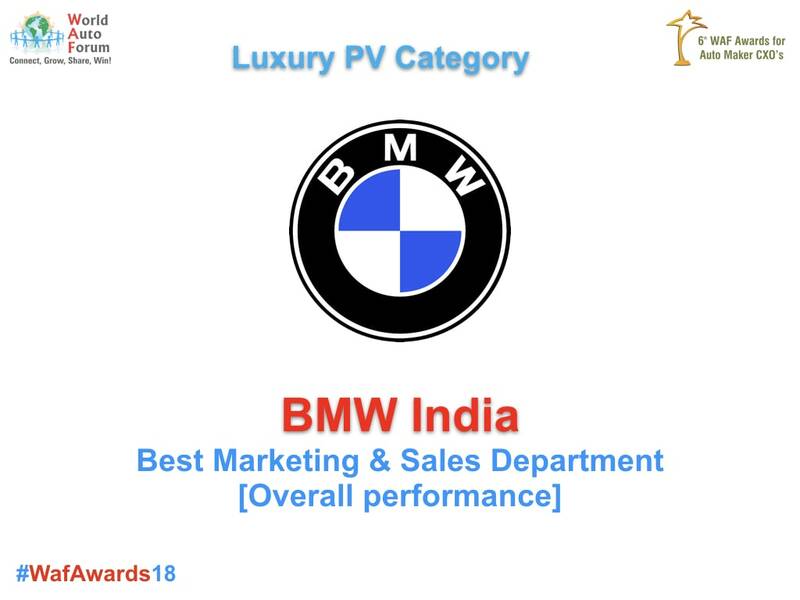 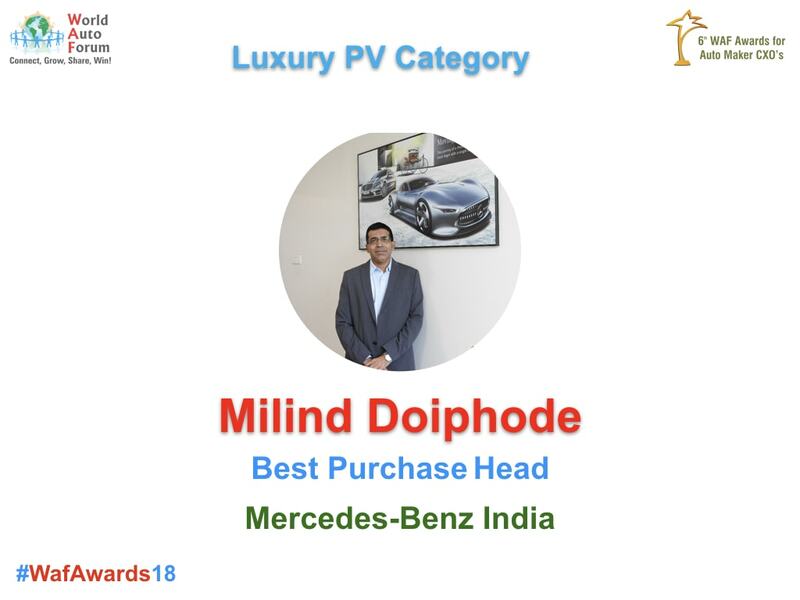 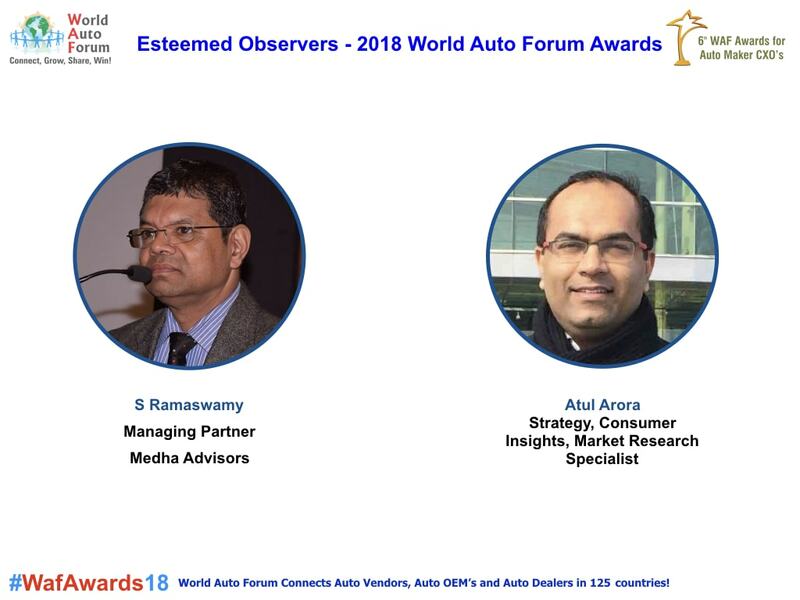 Last 3 years, 80% of the Winning CXO's got a Promotion and/or got a better Break in a different company in the same year of Winning the World Auto Forum award as per our research team. 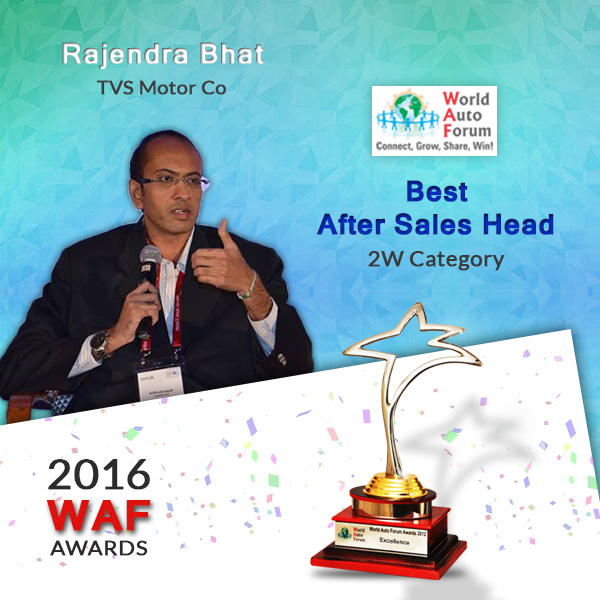 We get follow up calls & emails from Auto CXO's & their EA each year before results announcement. 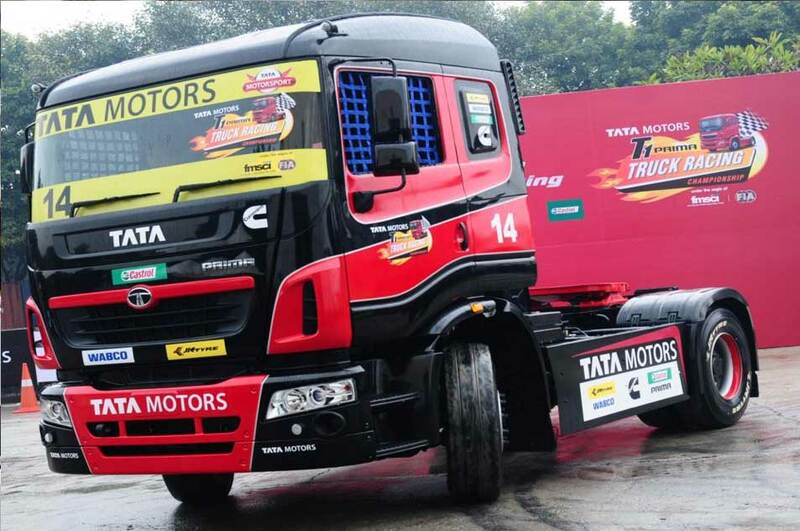 In 2014, More than 10 Lakh Auto Industry Professionals across All Levels engaged by our PR & Media Activity Media. 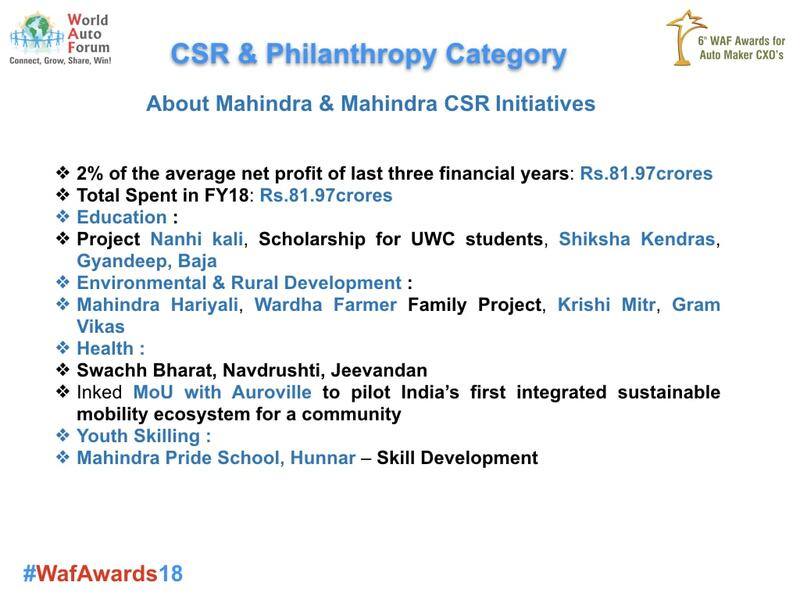 In 2013, 2 Lakh Hits only on FB for the awards. 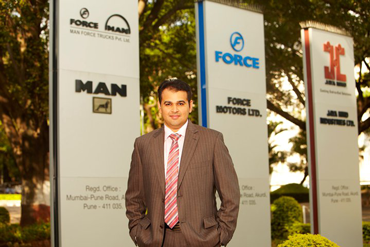 A Lot of focussed Promotions around the Winning CXO's and their Family, Friends and Colleagues on fb. 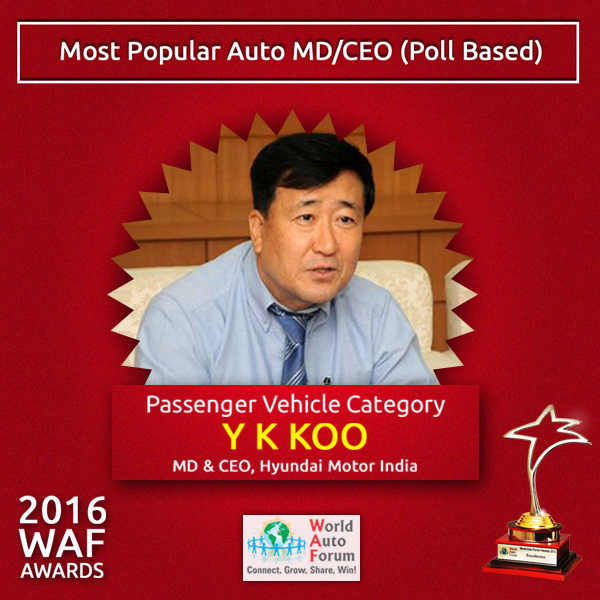 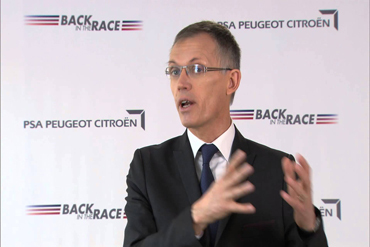 Online Voting for the Selection of Most Popular MD / CEO in the Automobile Industry has begun!